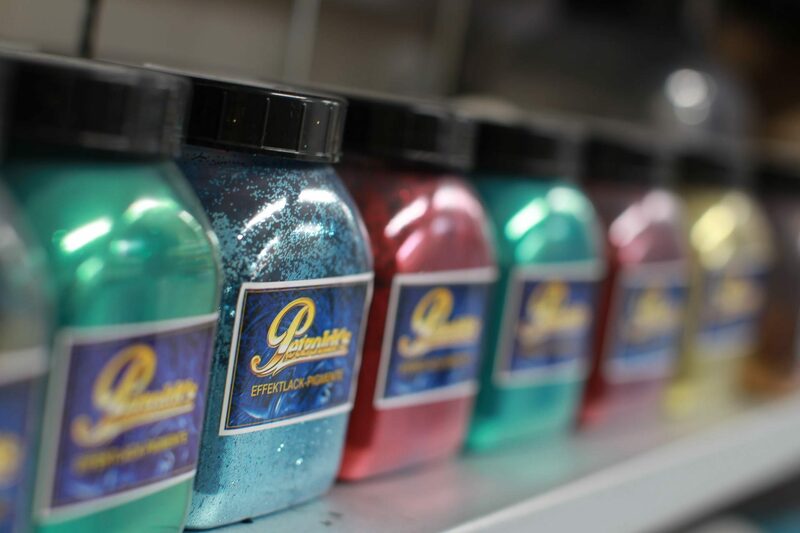 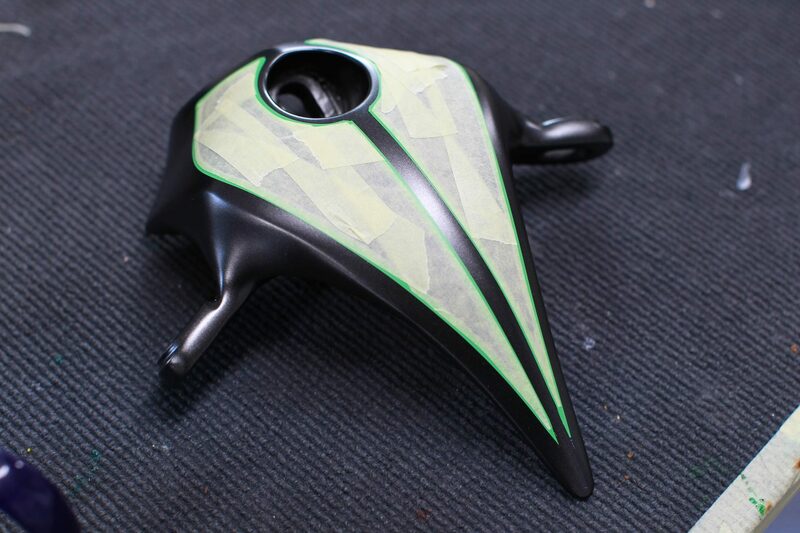 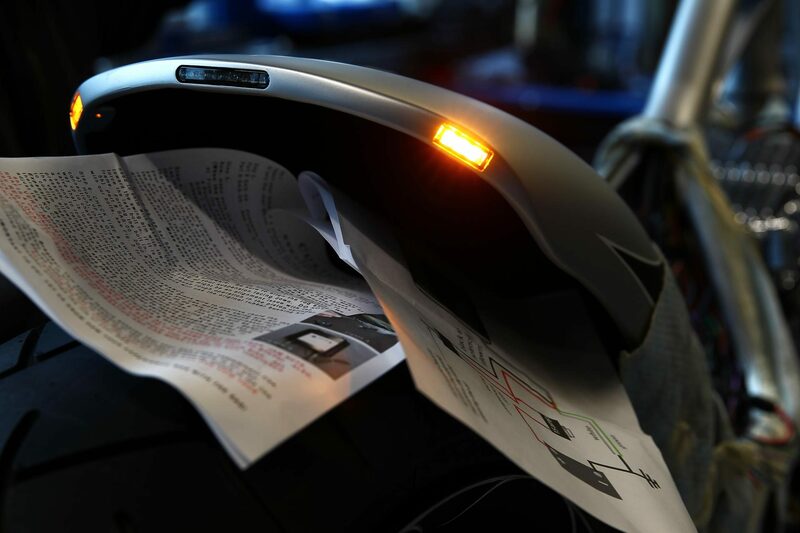 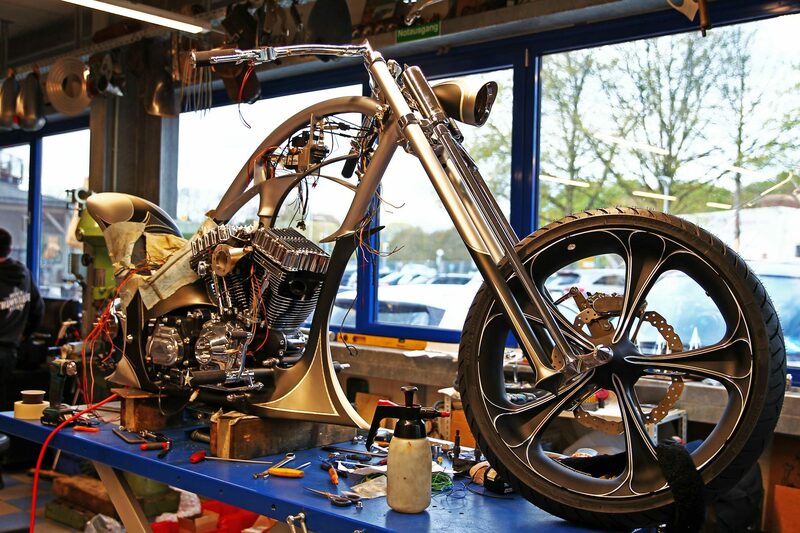 A new custom bike has to come! 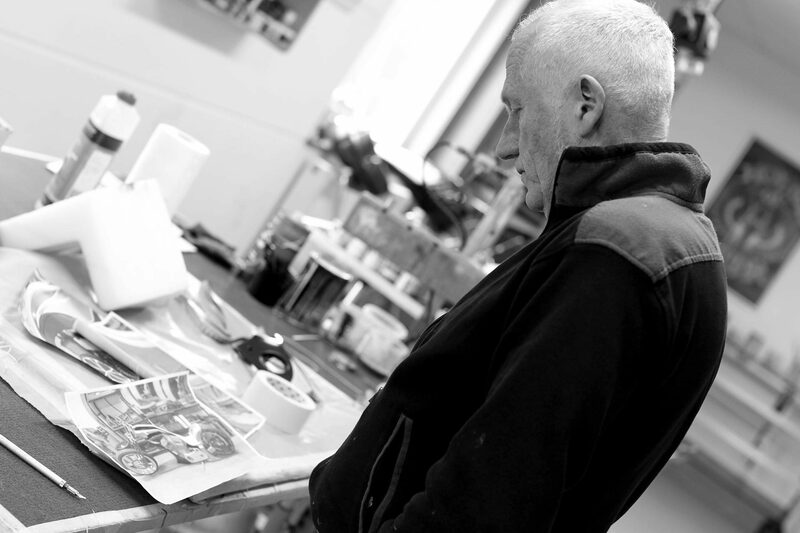 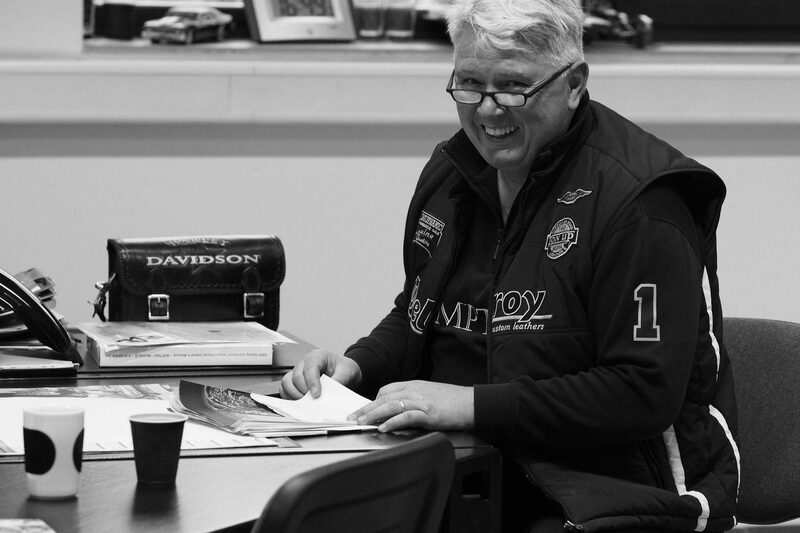 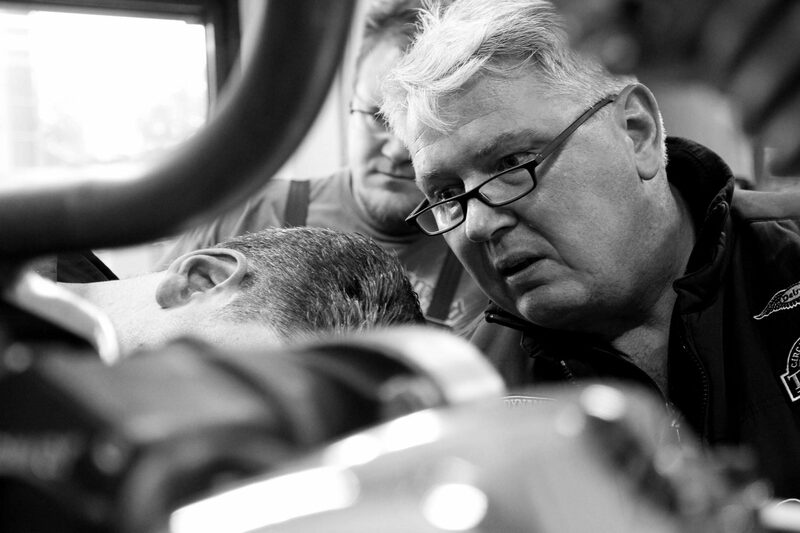 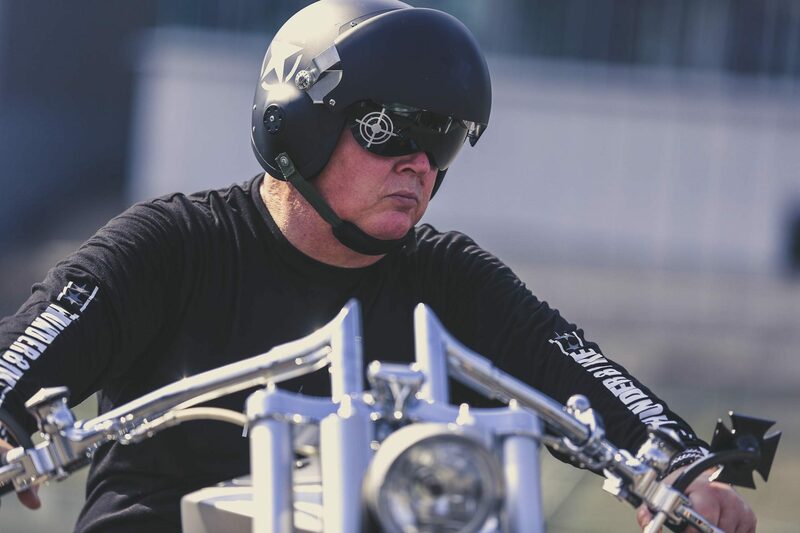 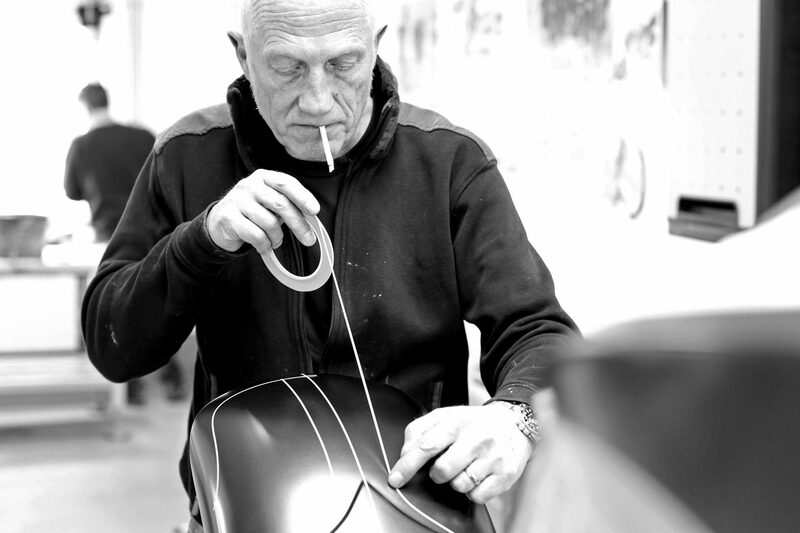 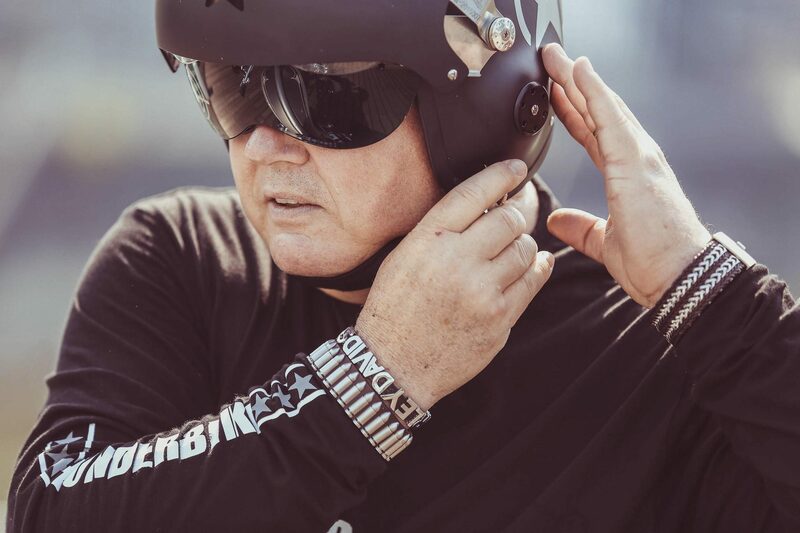 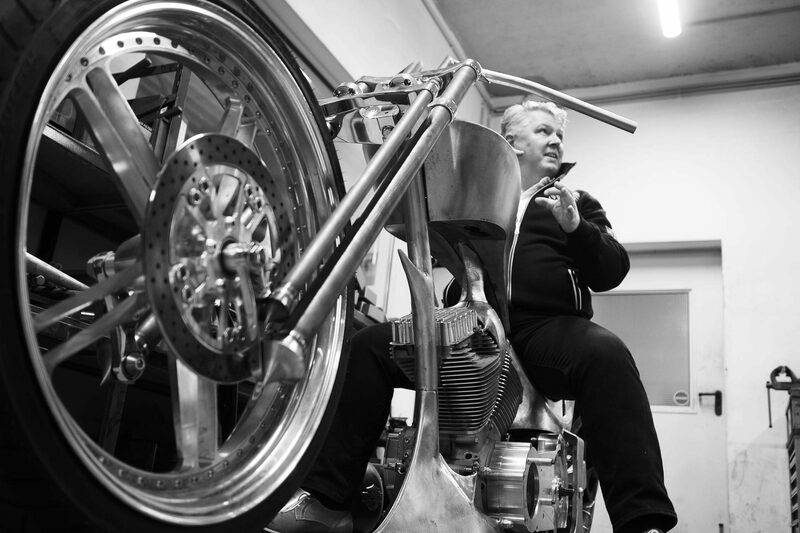 While we have grown from Motorradschuppen to Thunderbike, Frank has also evolved over the last 35 years. 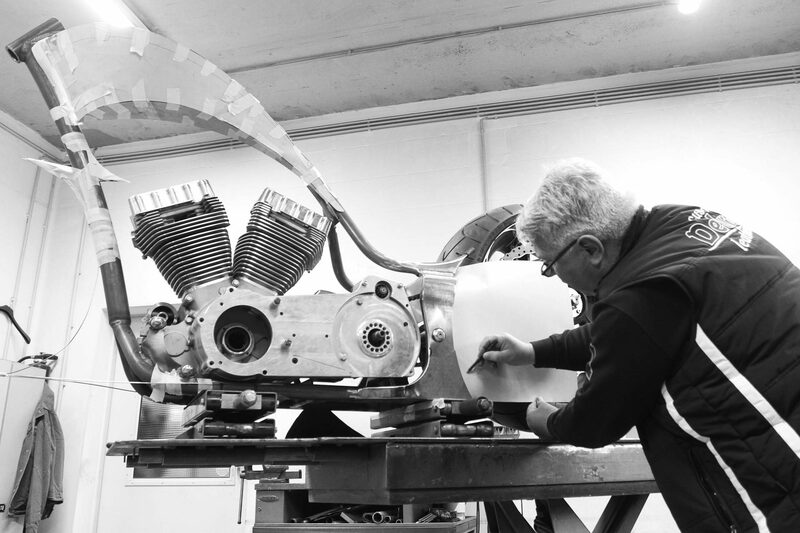 From the moped, Suzuki to his second custom bike, he has gone the way with us. 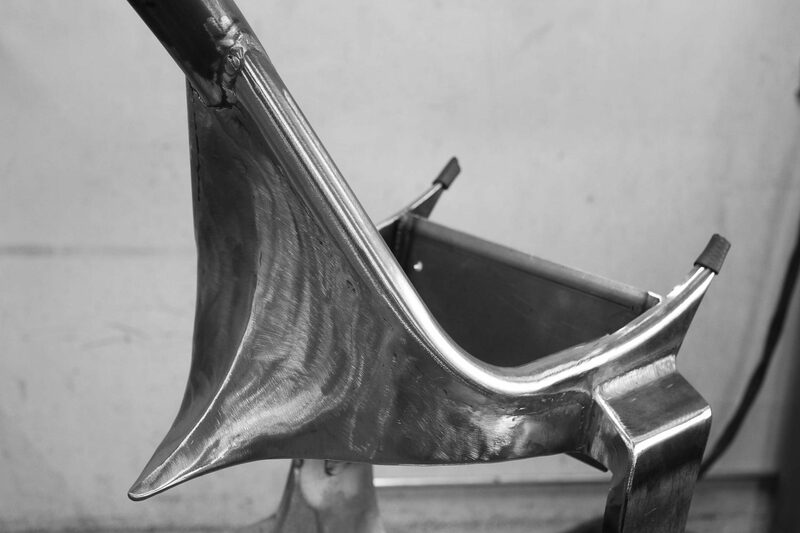 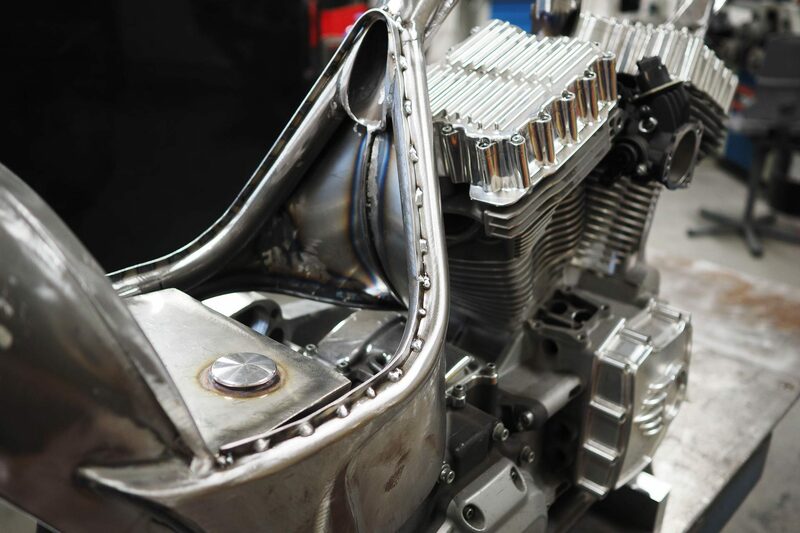 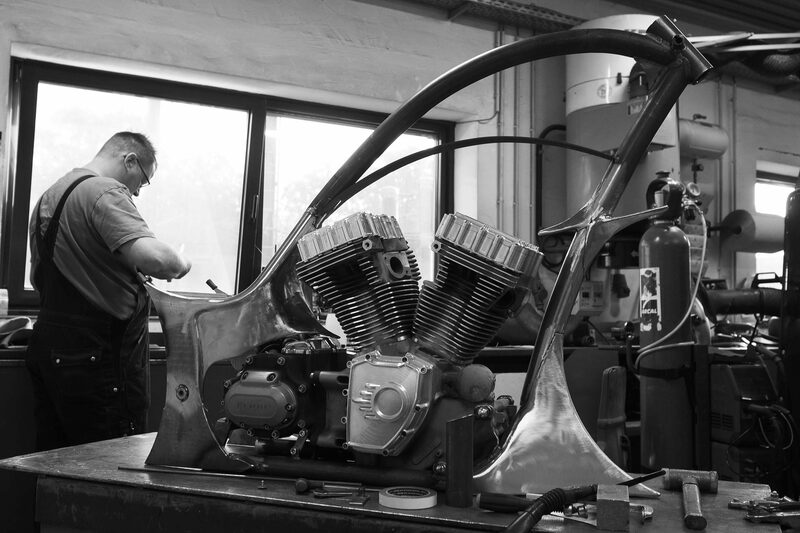 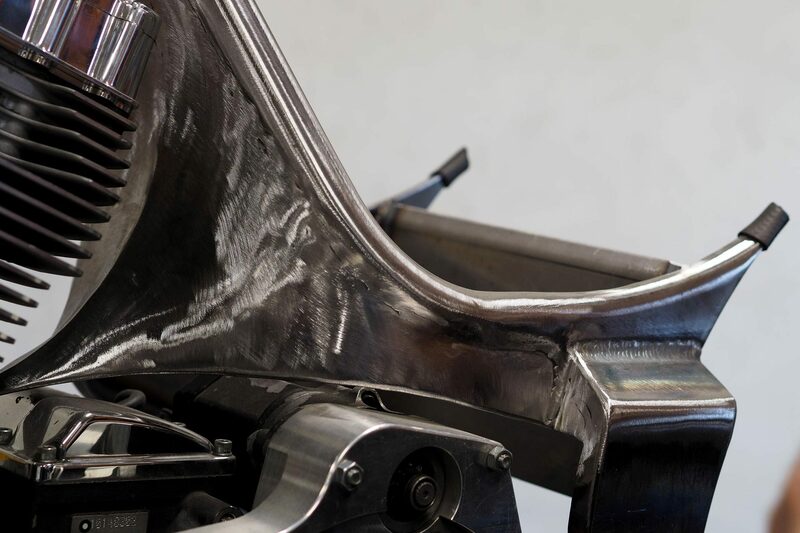 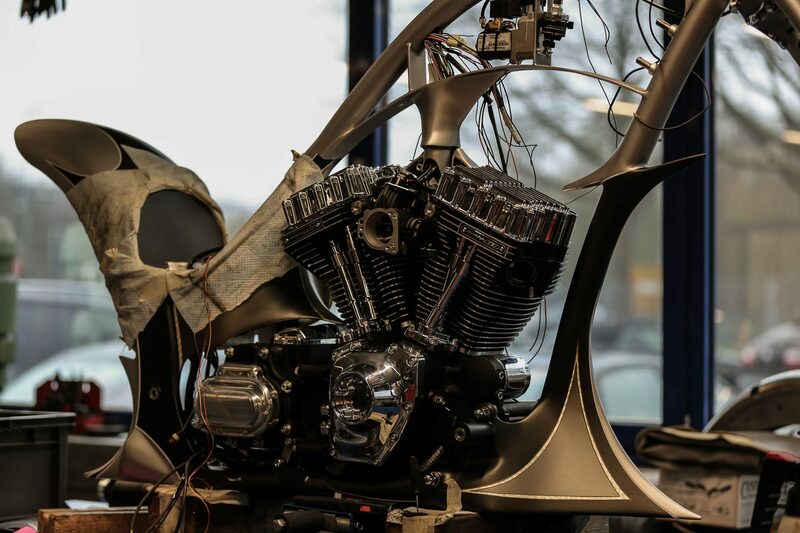 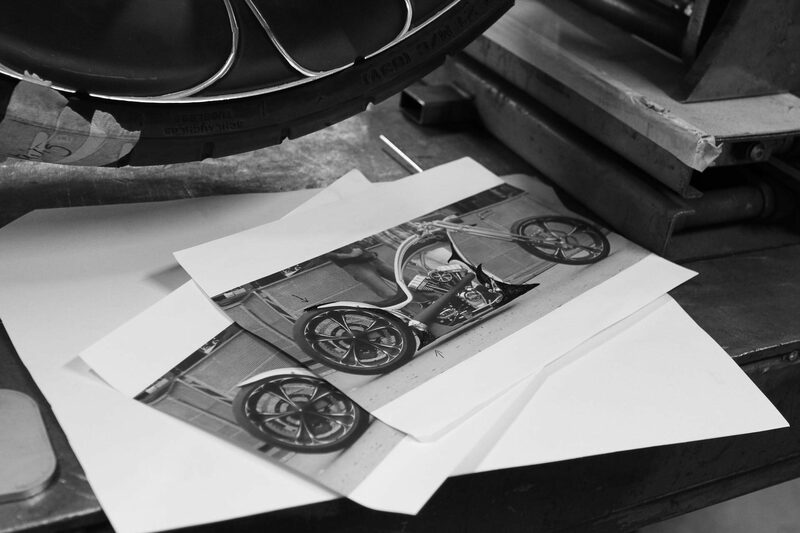 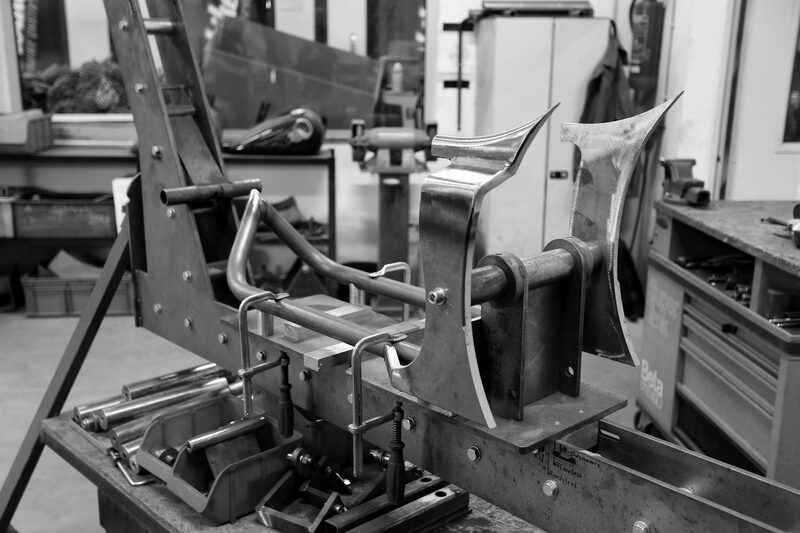 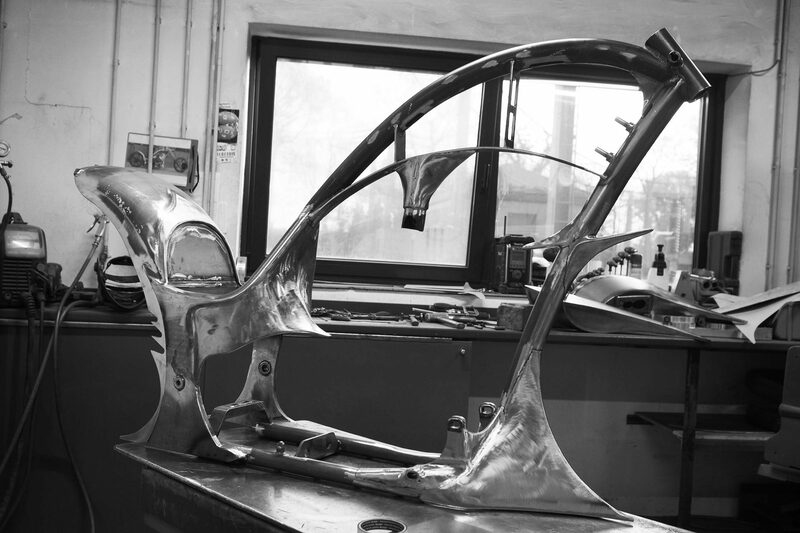 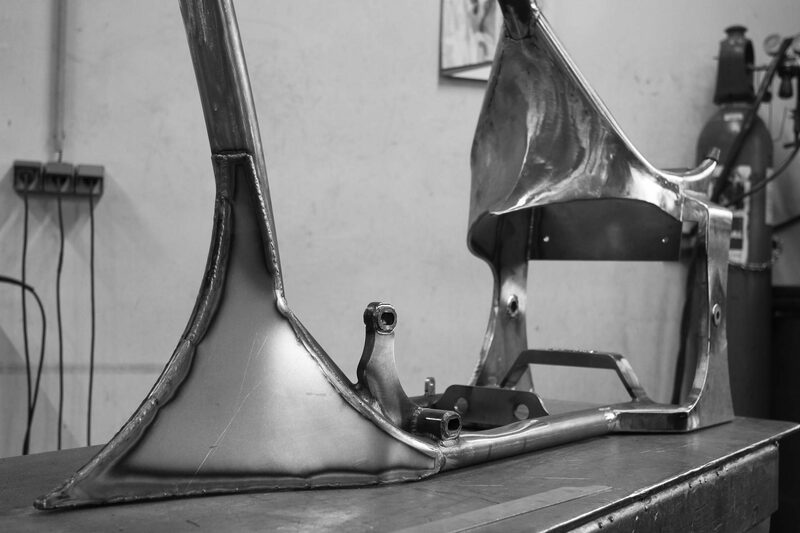 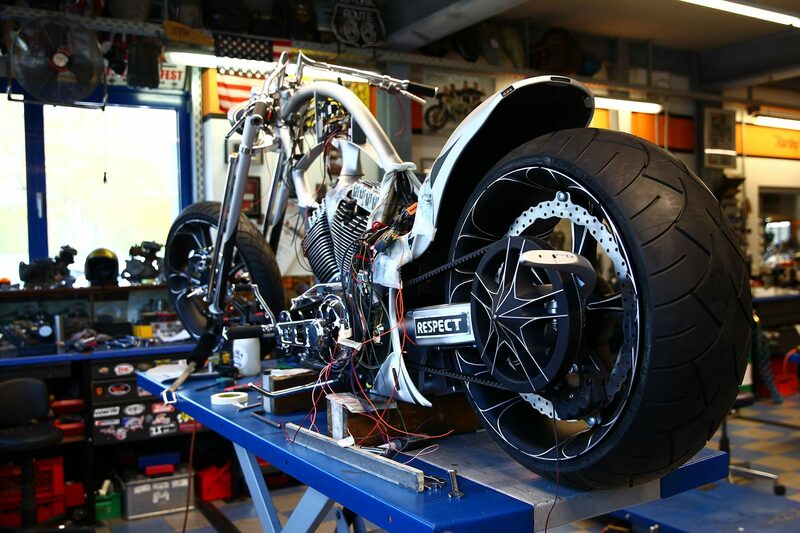 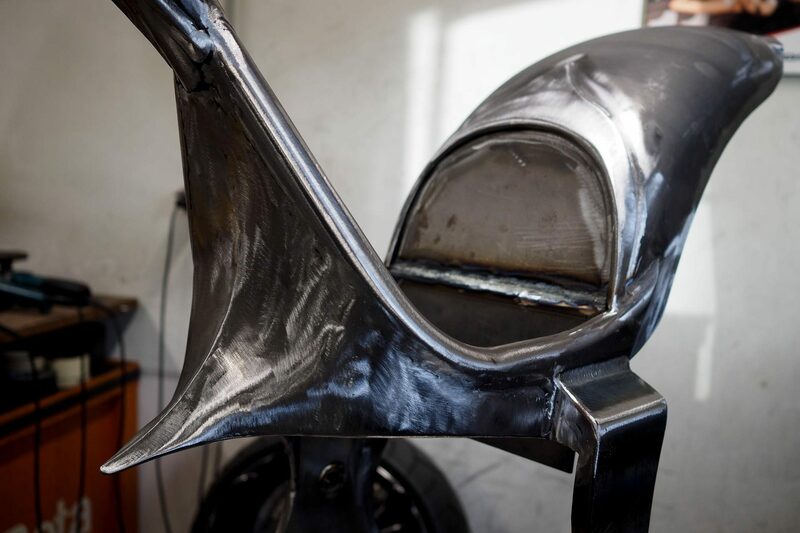 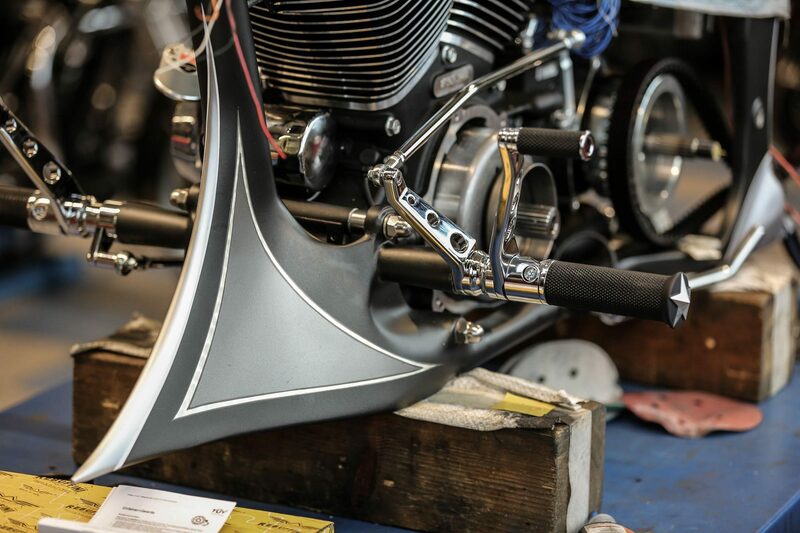 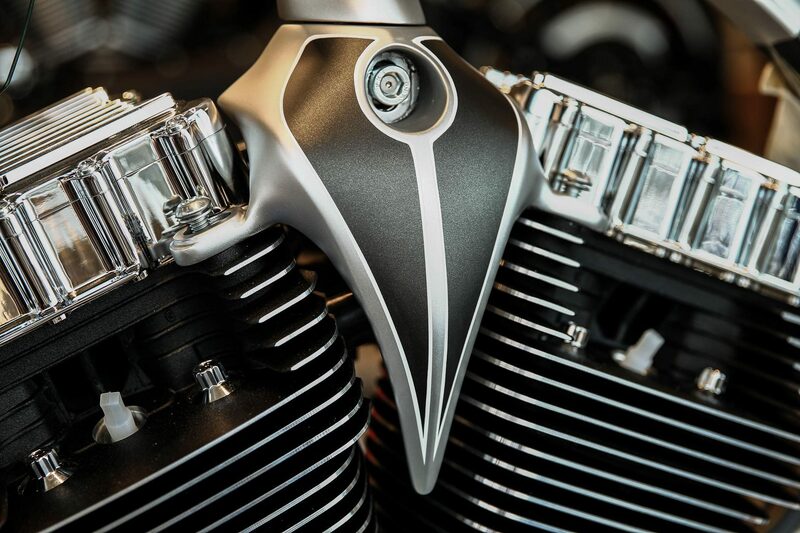 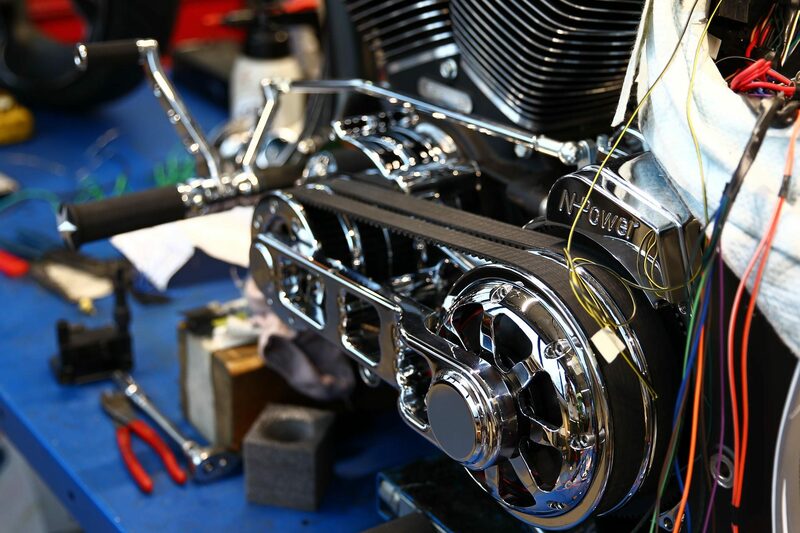 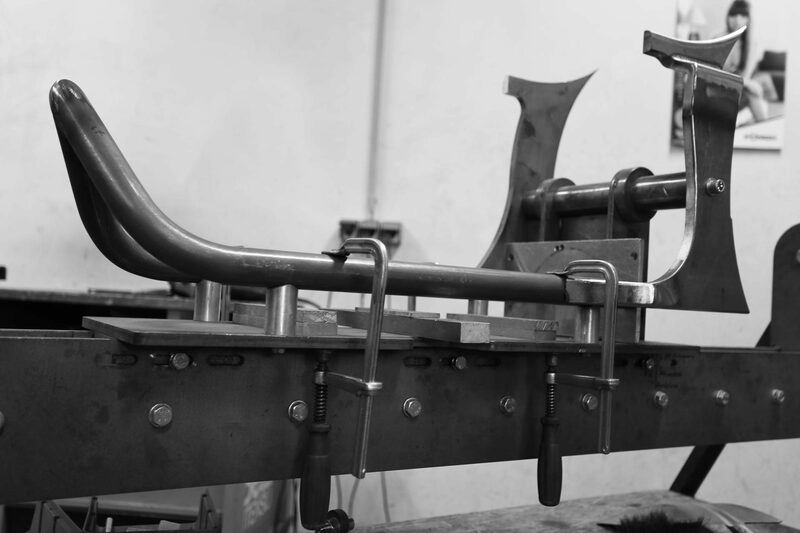 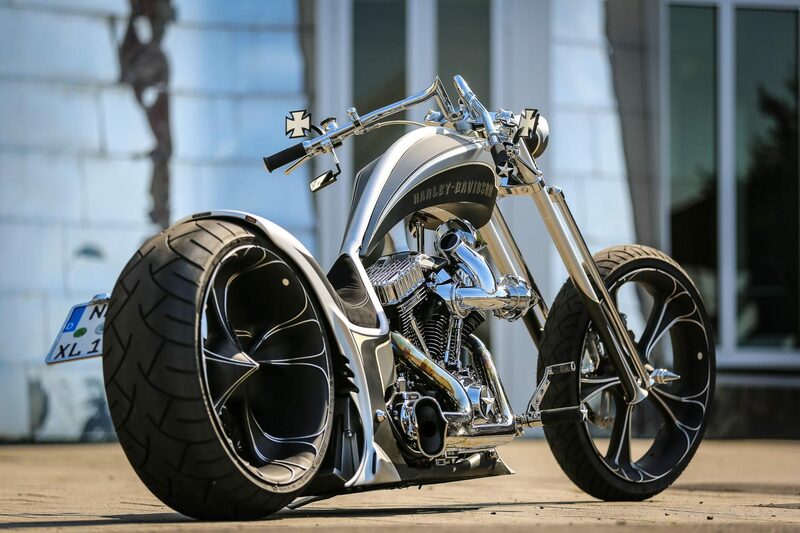 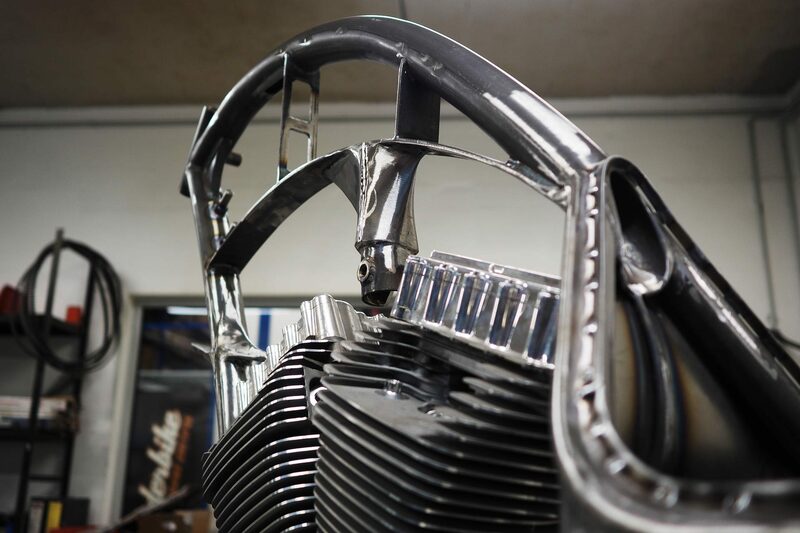 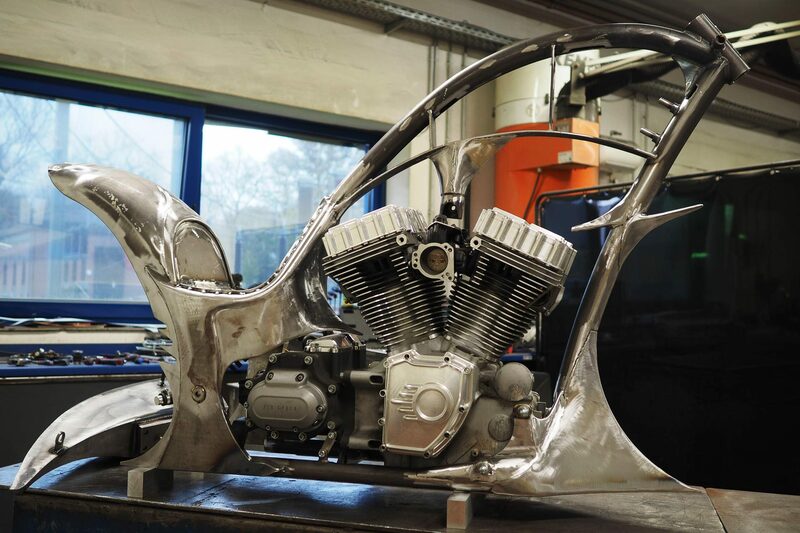 Now a new project is in the starting blocks: A Radical Over frame, powered by a 110 Harley engine, will become the cornerstone of his new bike. 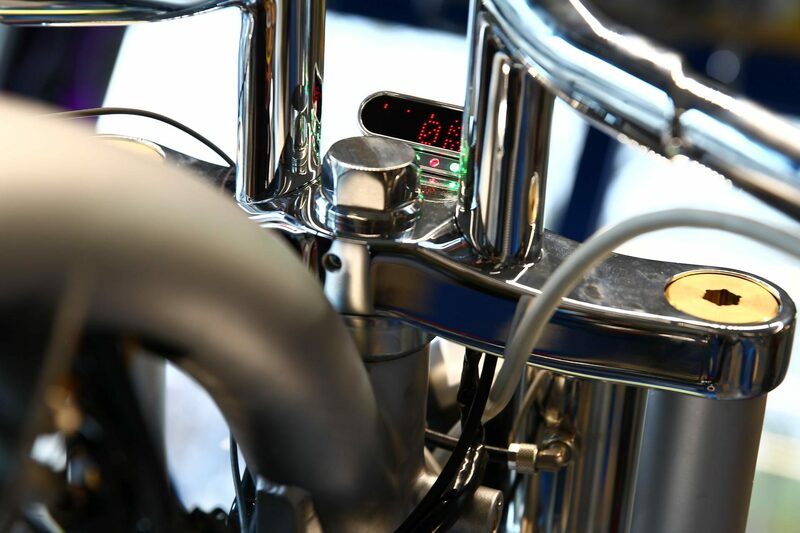 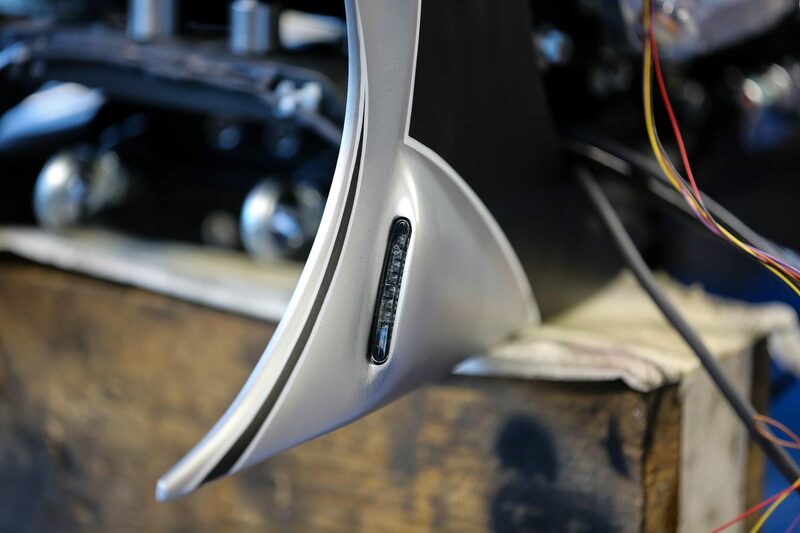 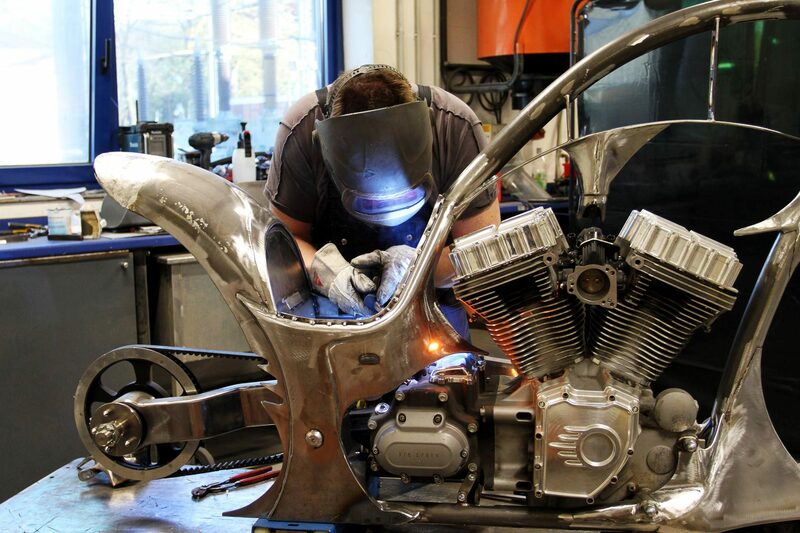 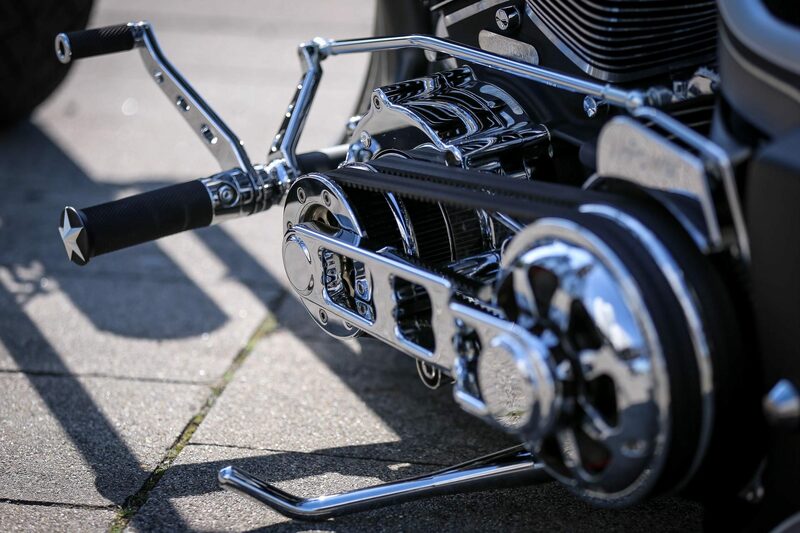 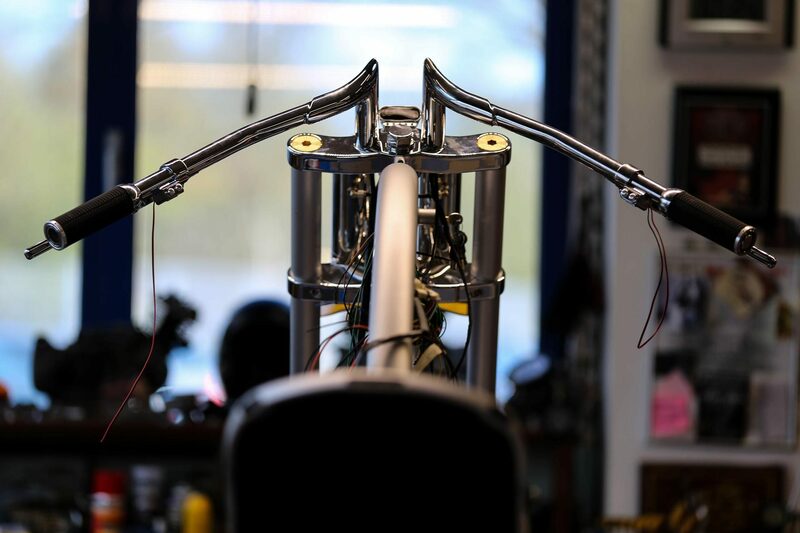 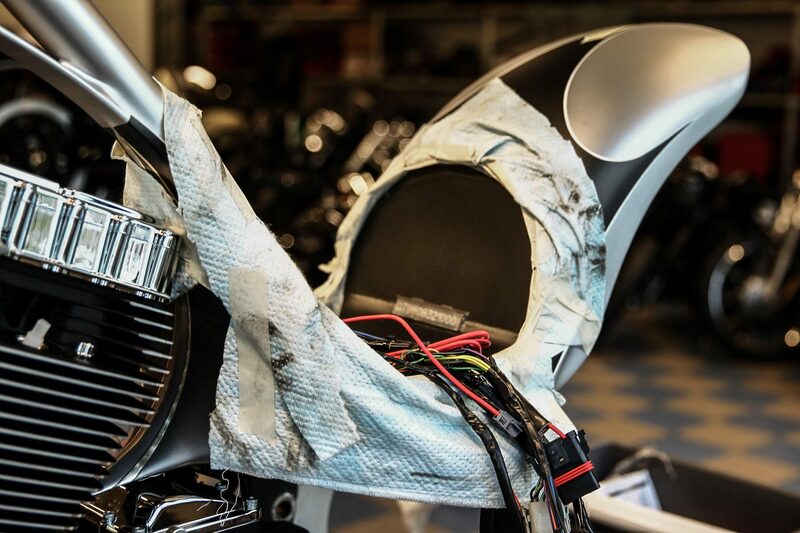 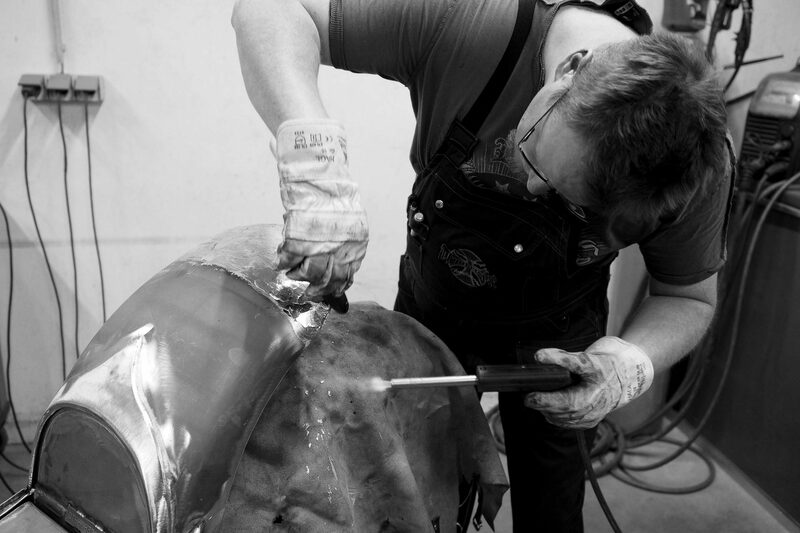 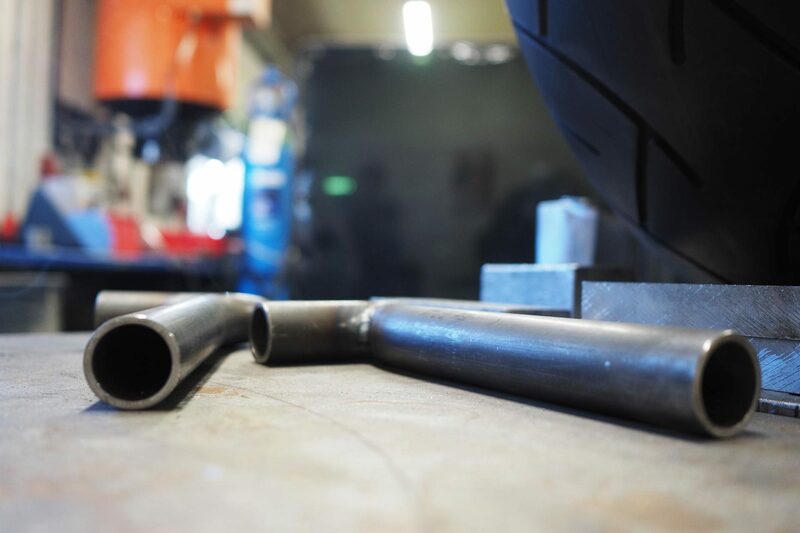 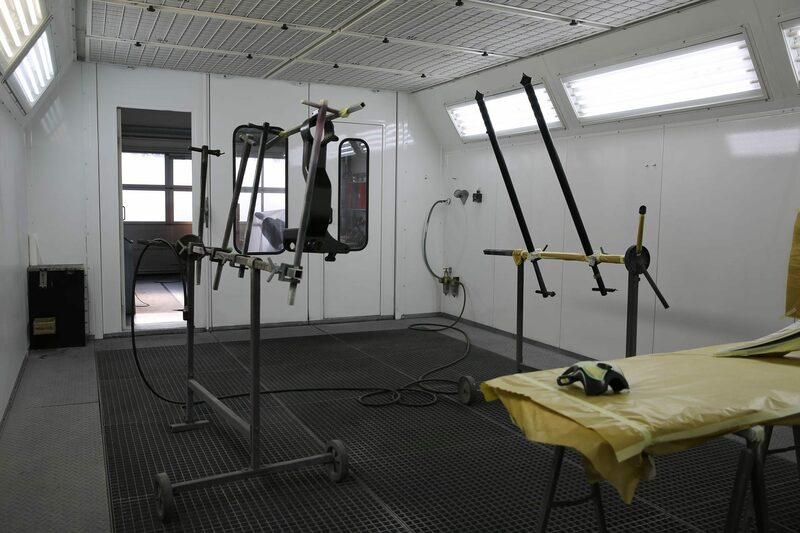 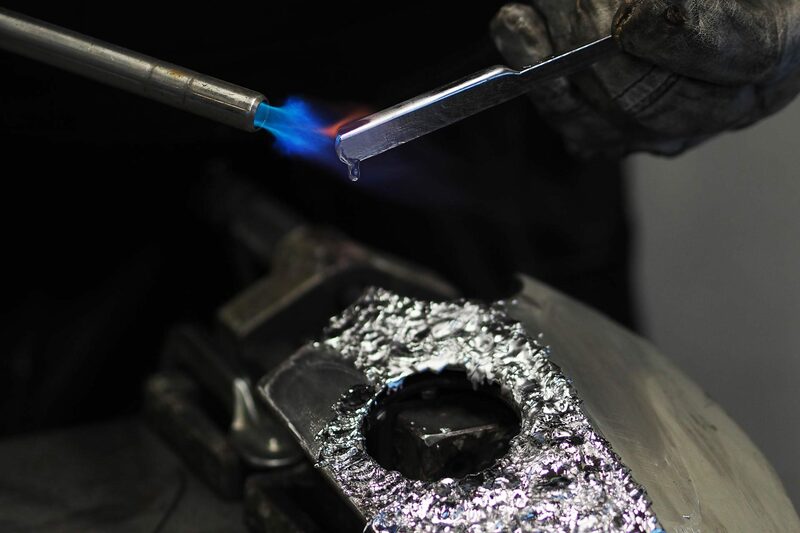 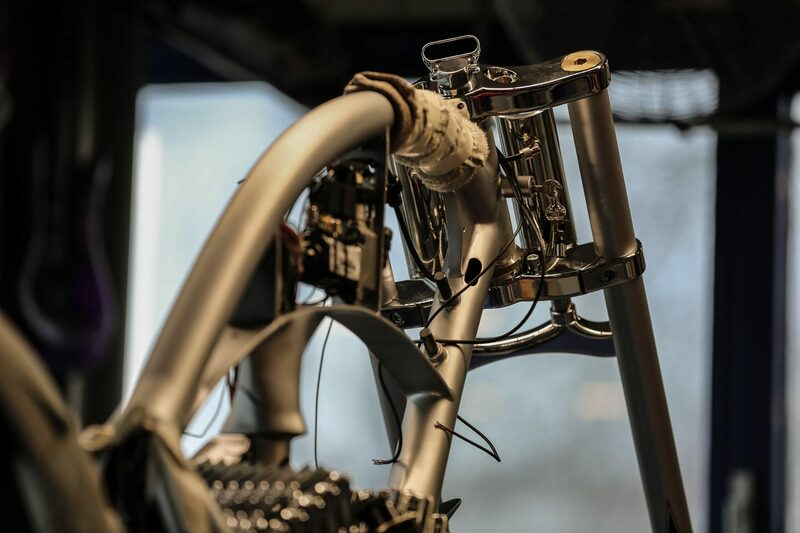 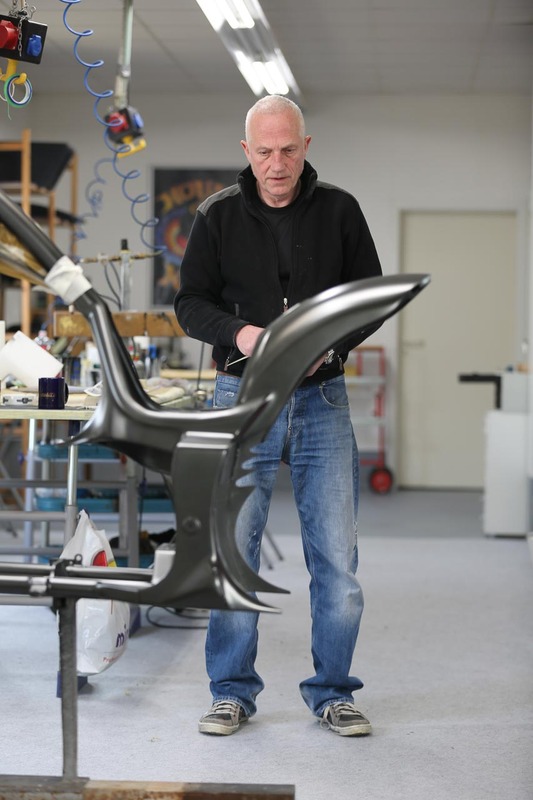 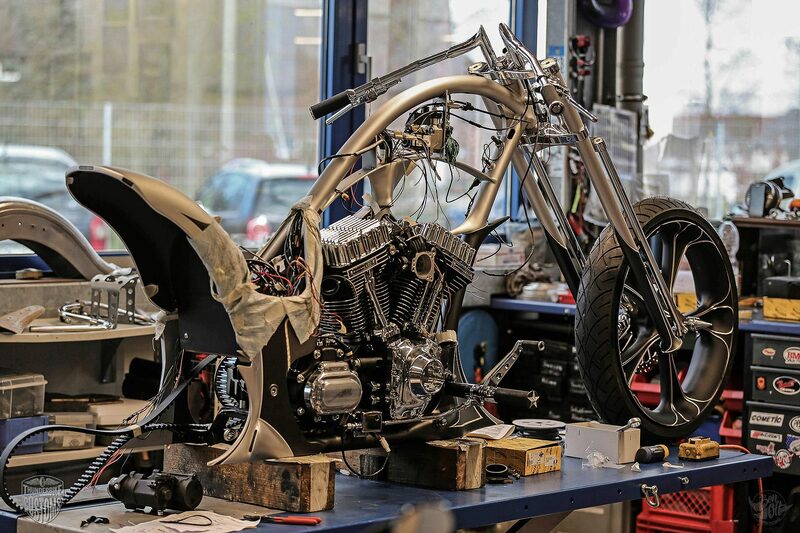 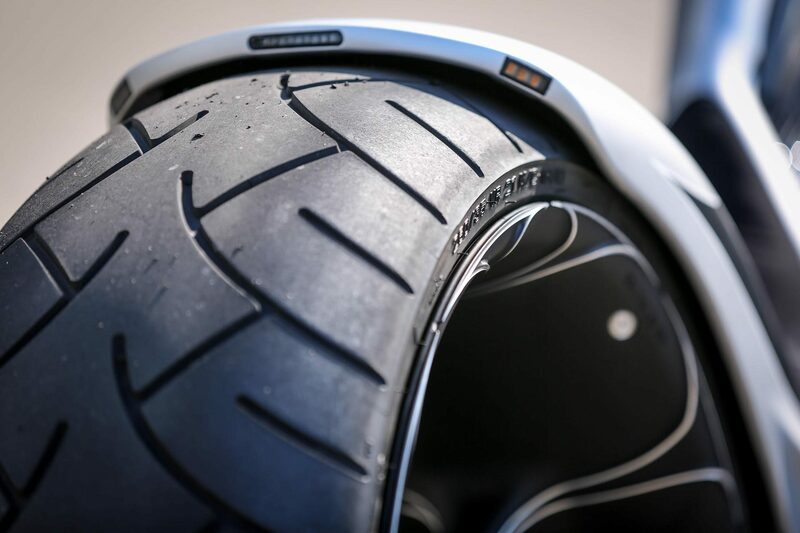 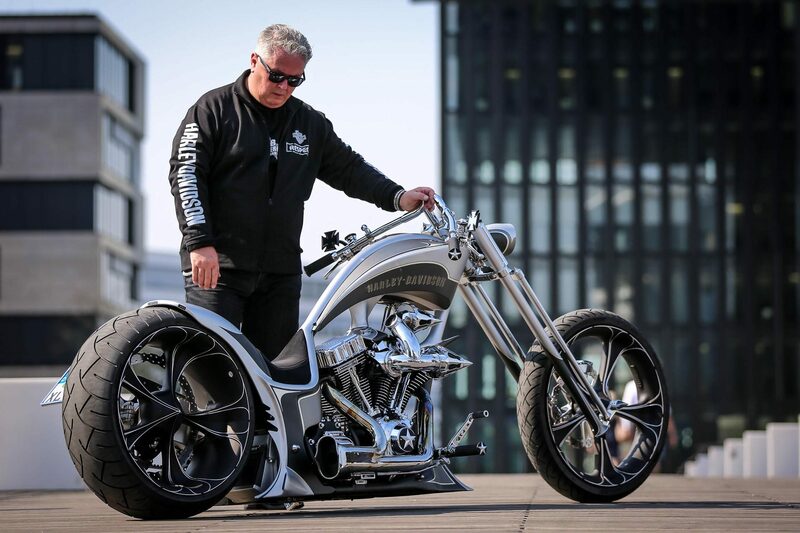 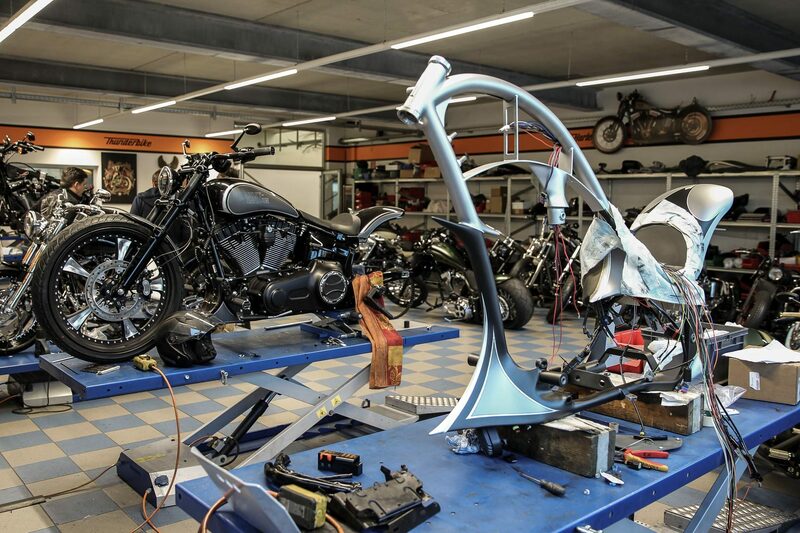 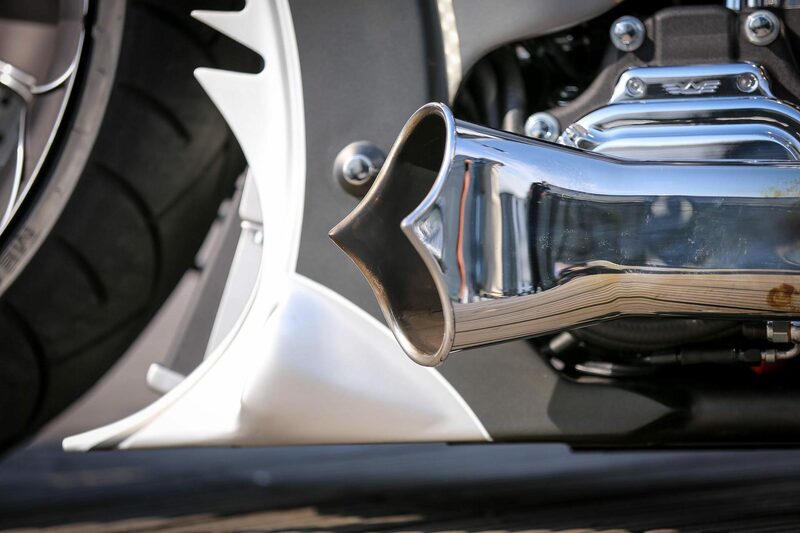 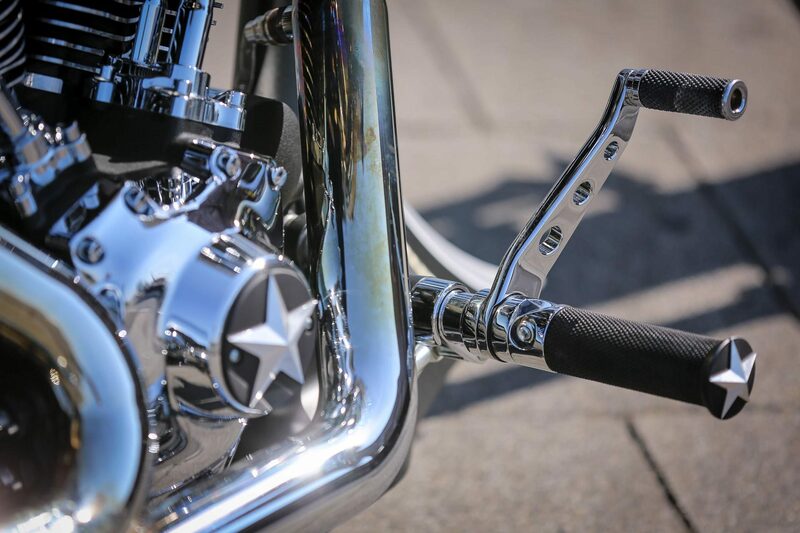 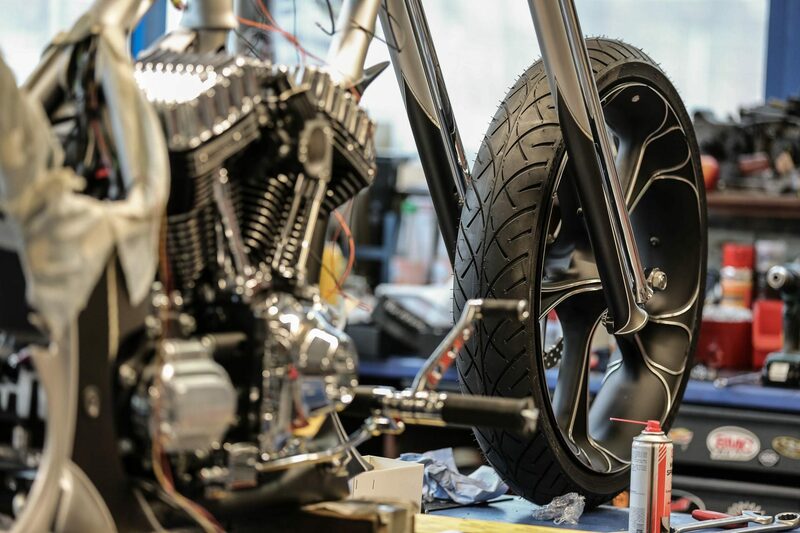 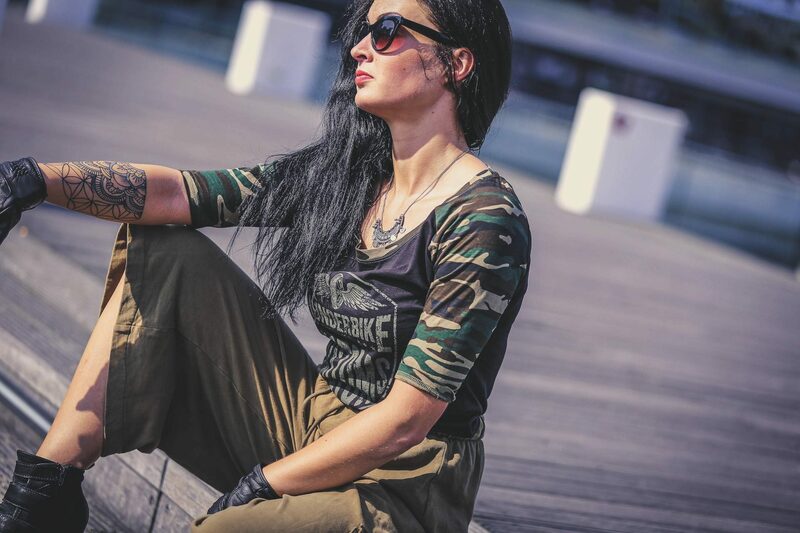 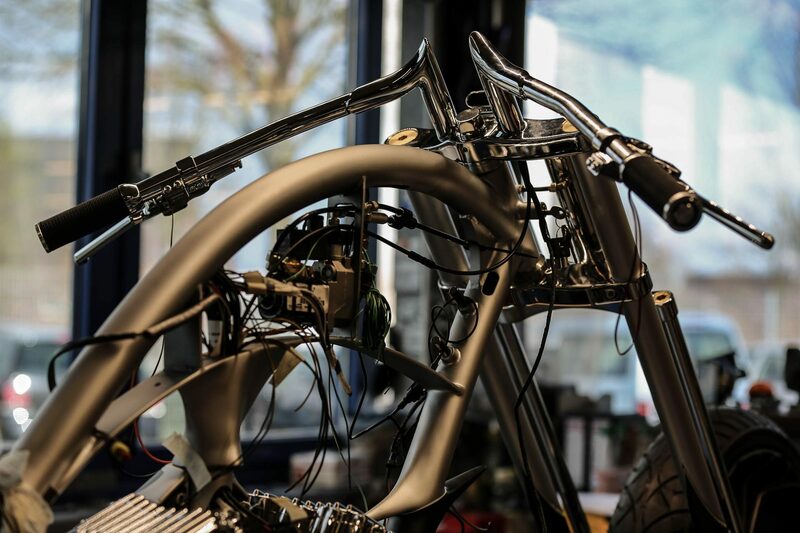 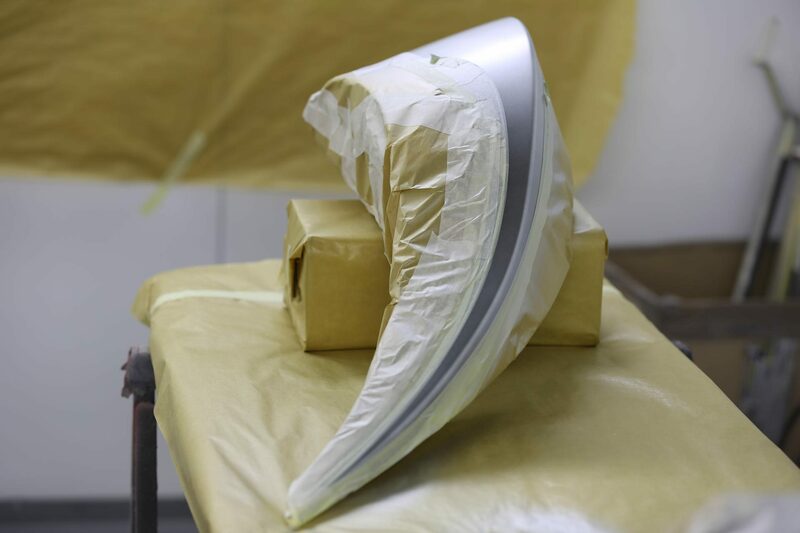 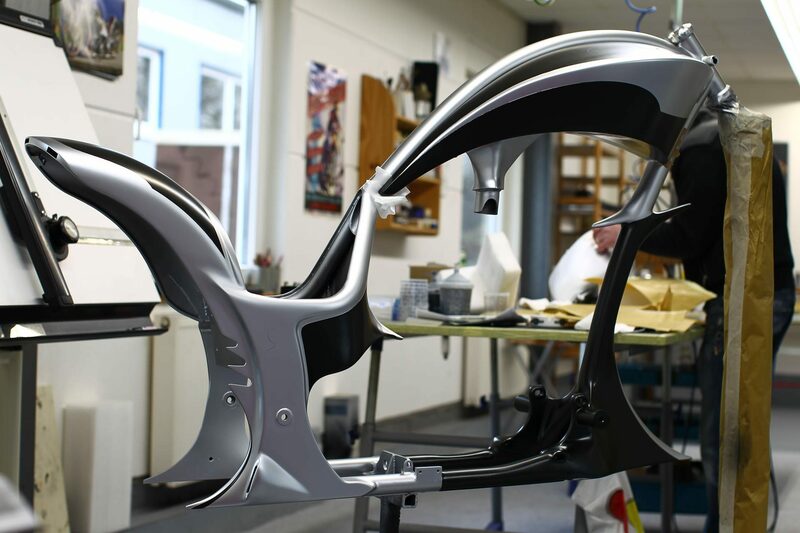 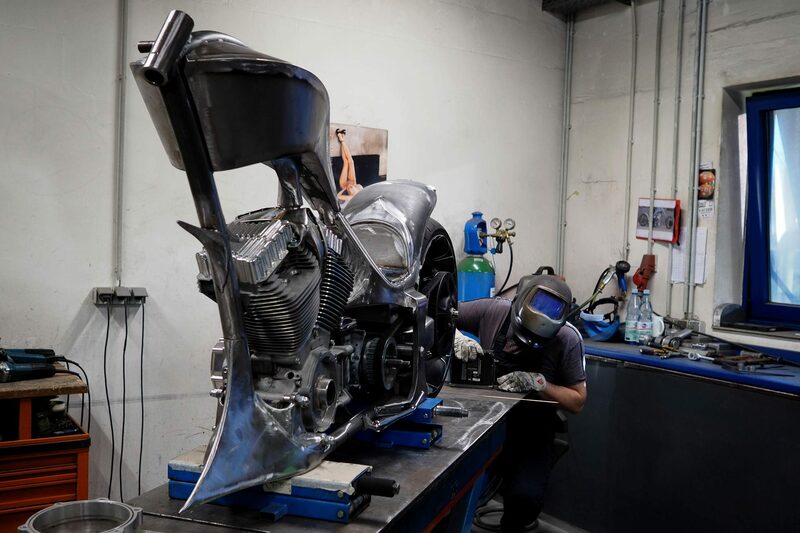 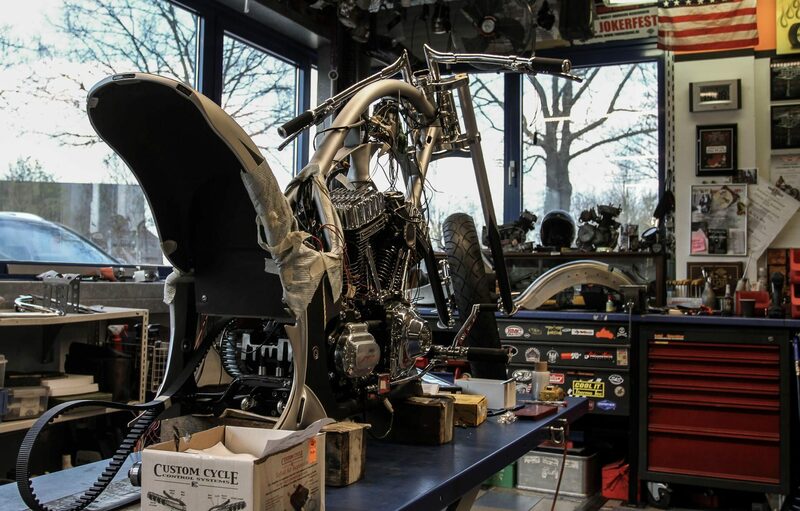 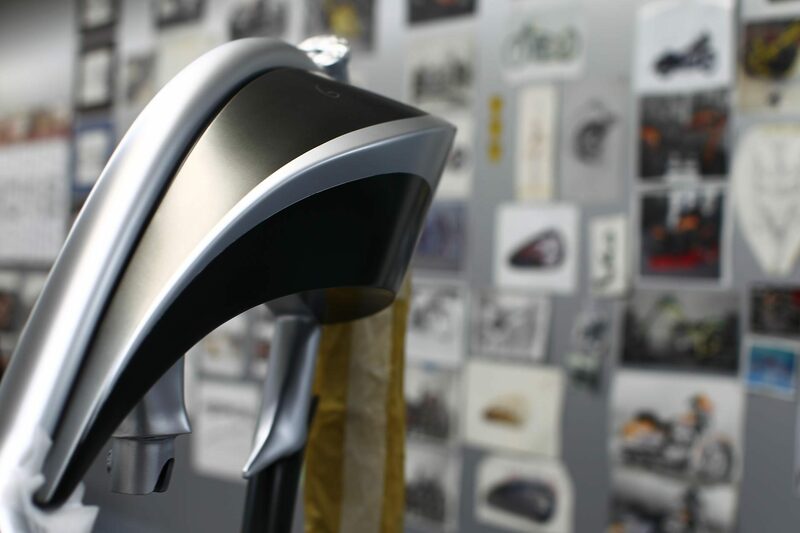 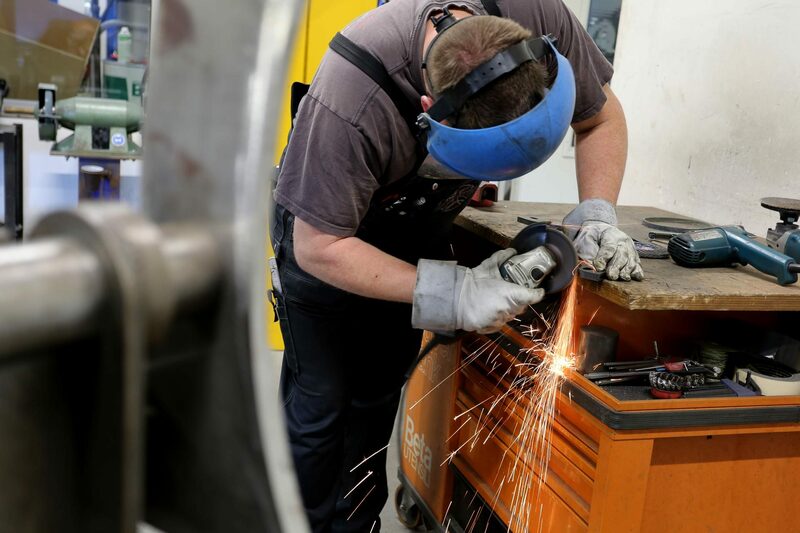 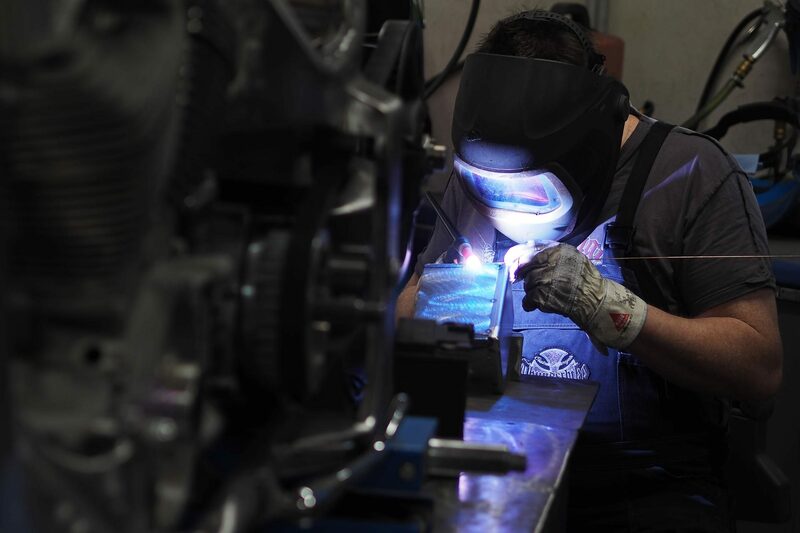 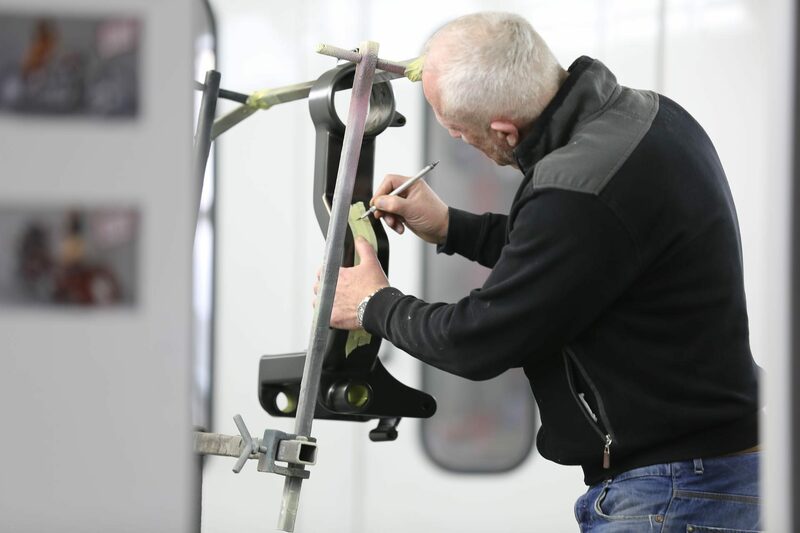 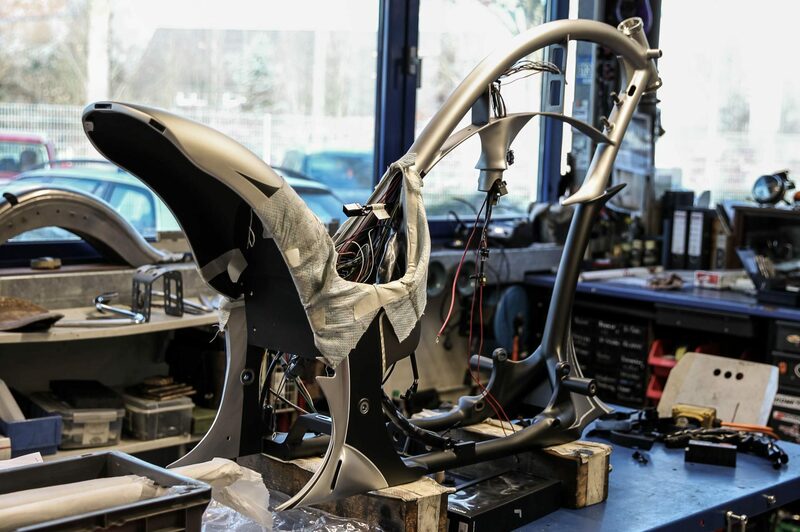 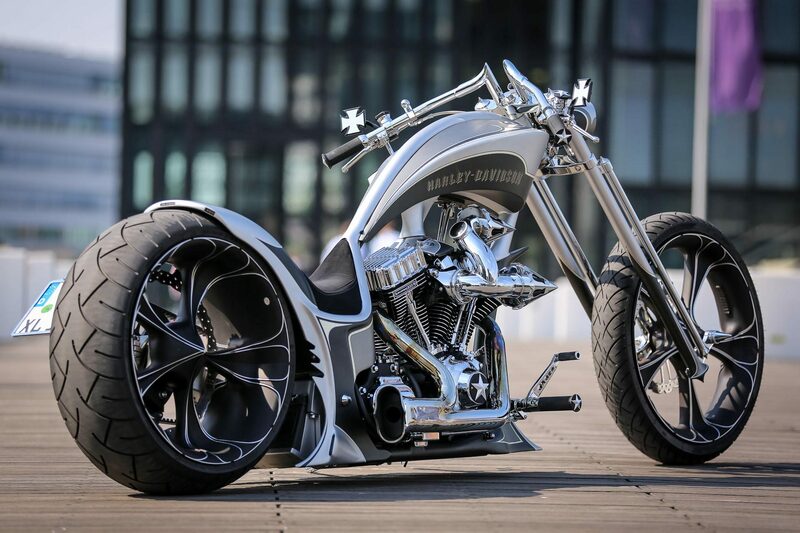 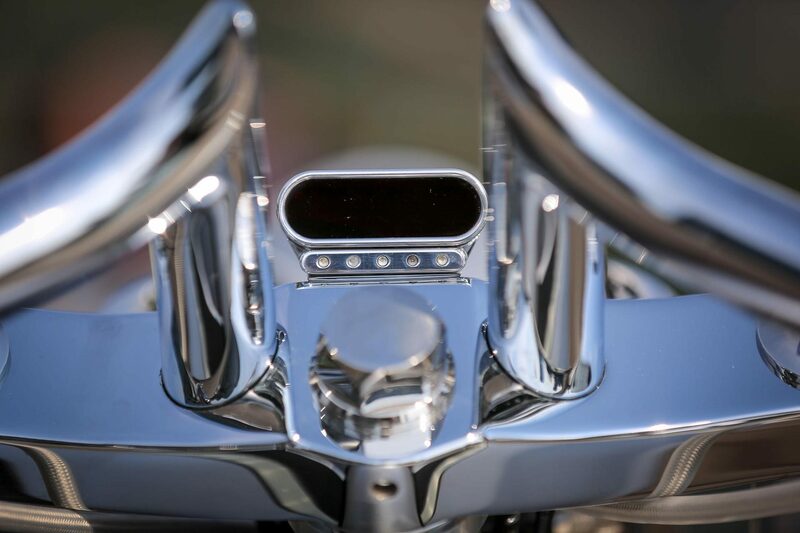 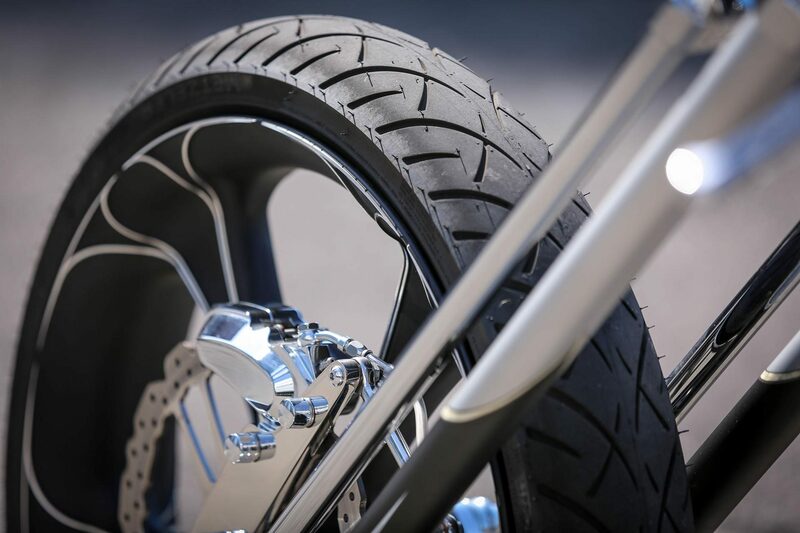 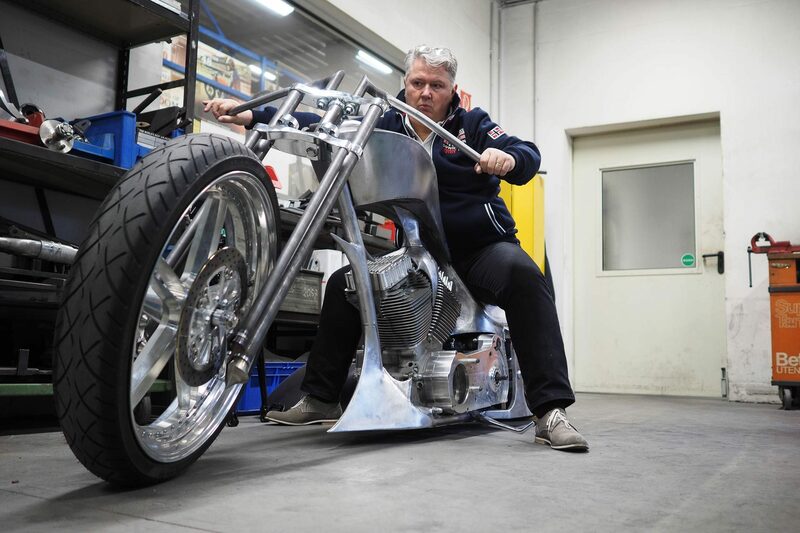 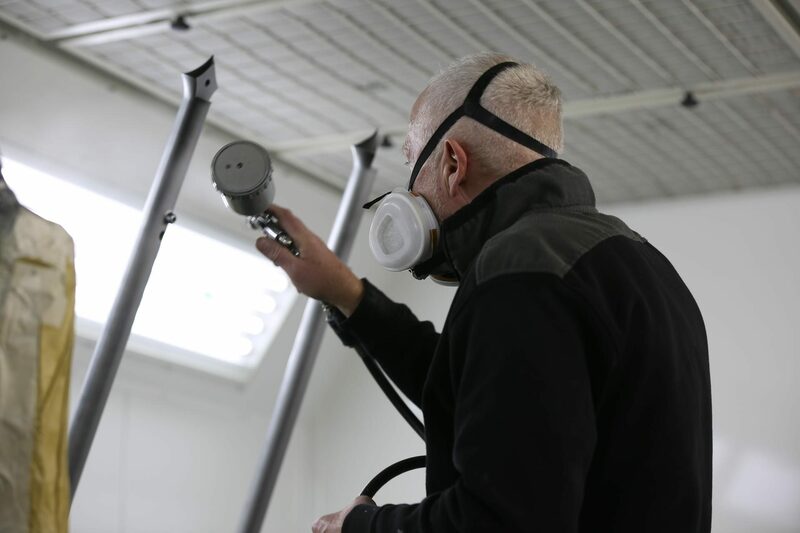 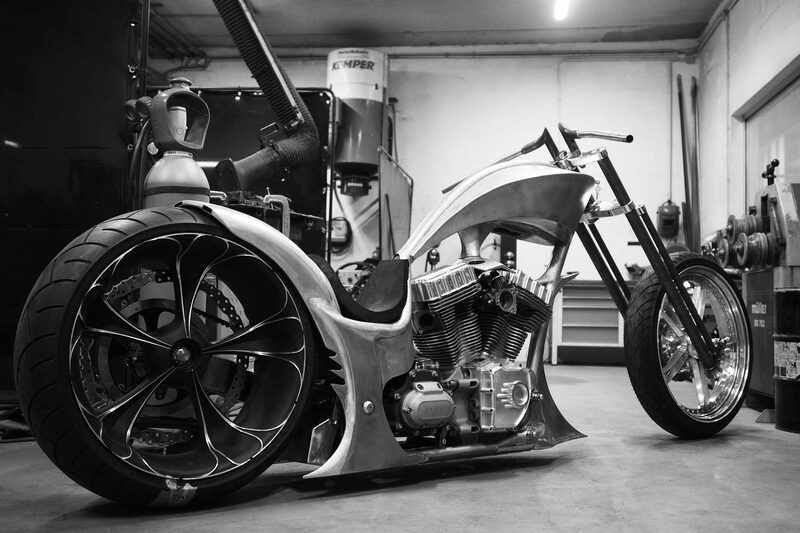 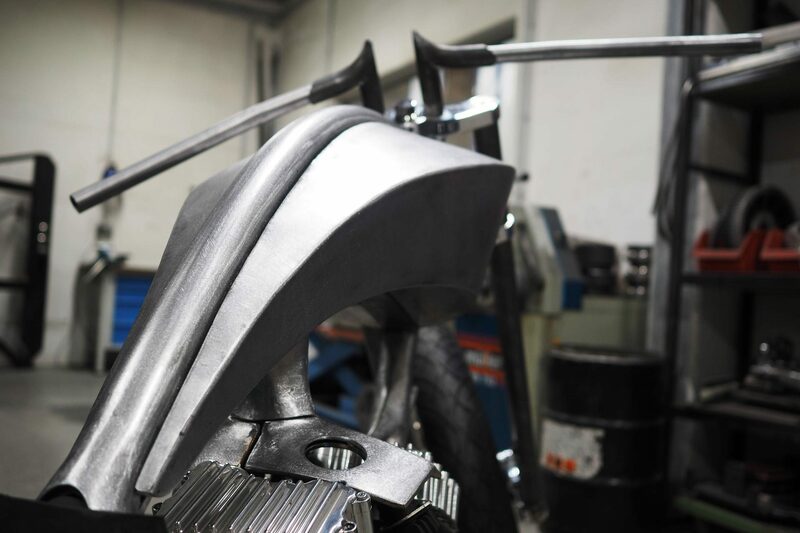 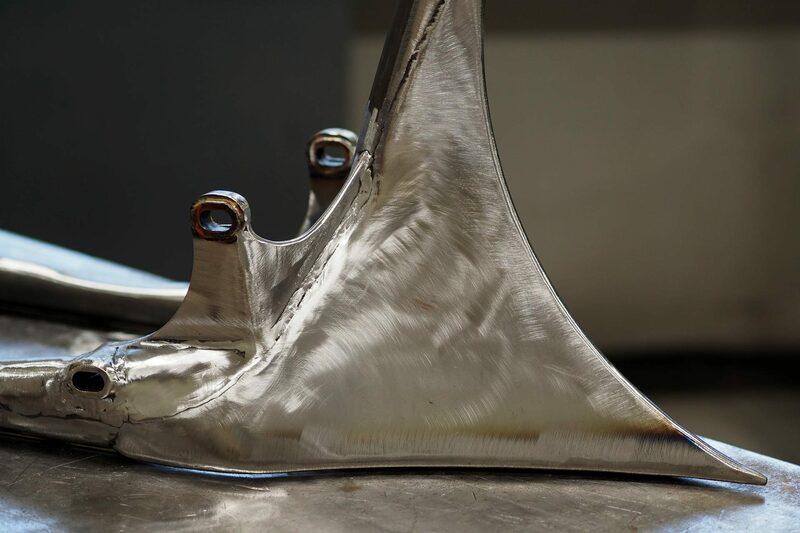 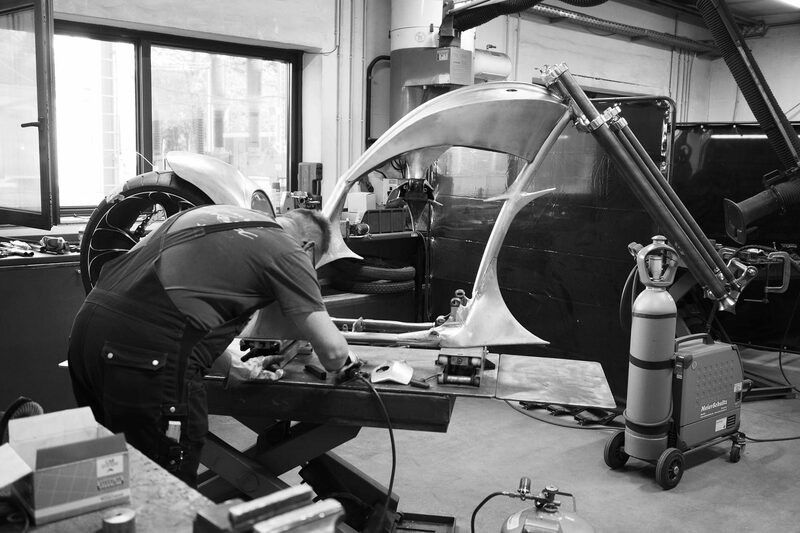 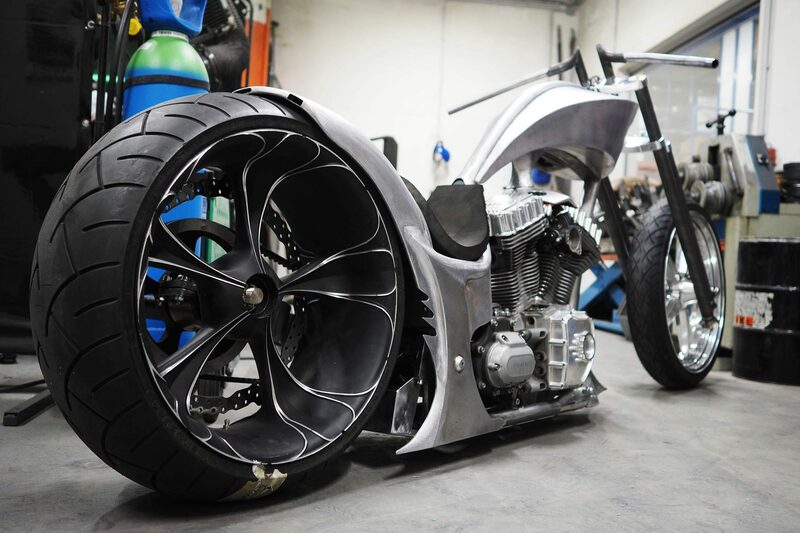 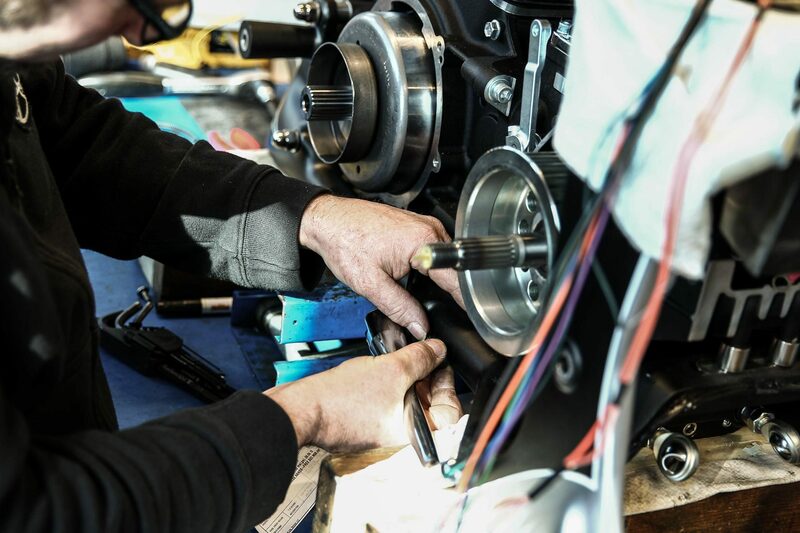 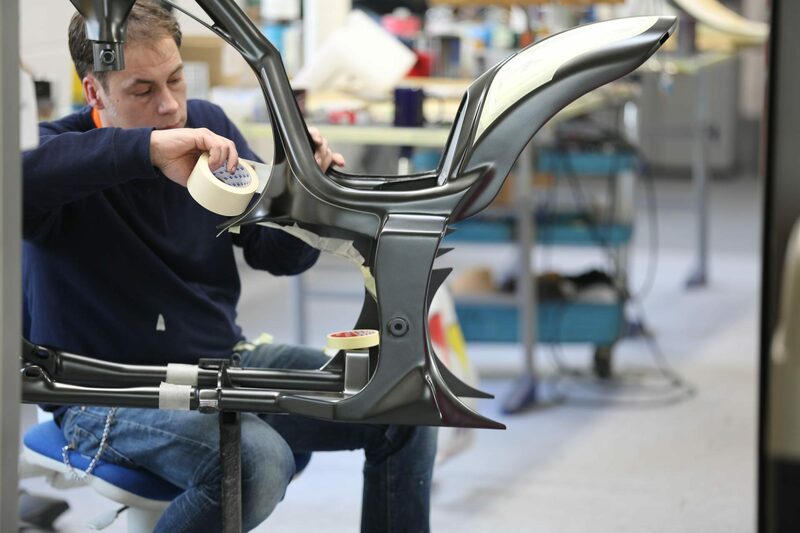 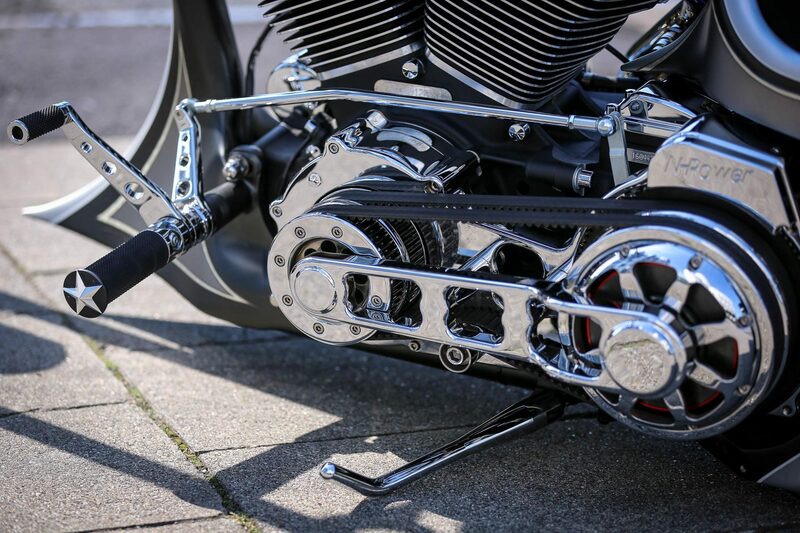 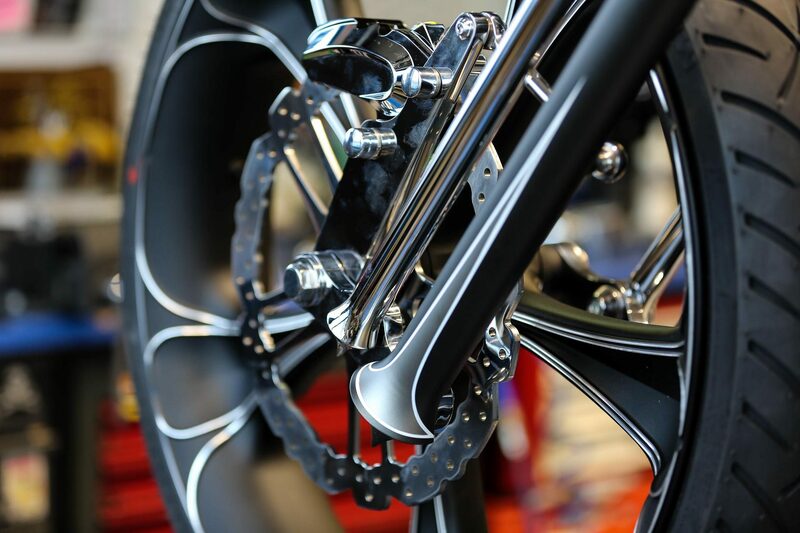 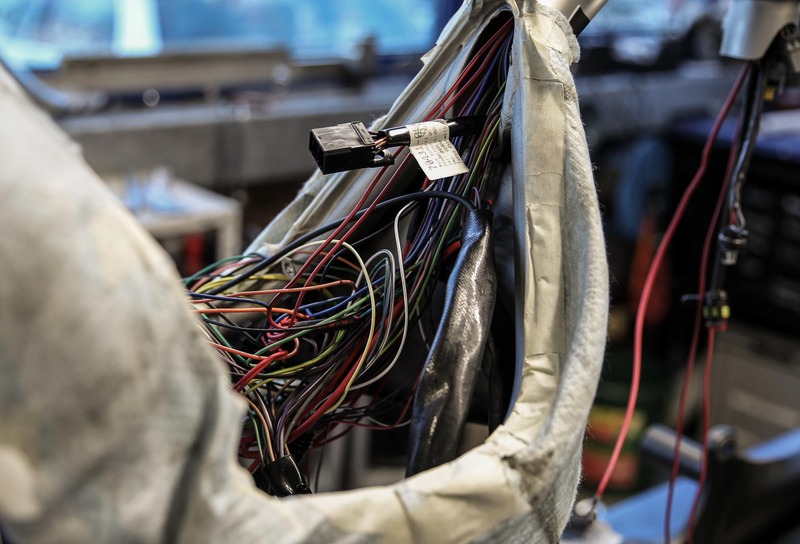 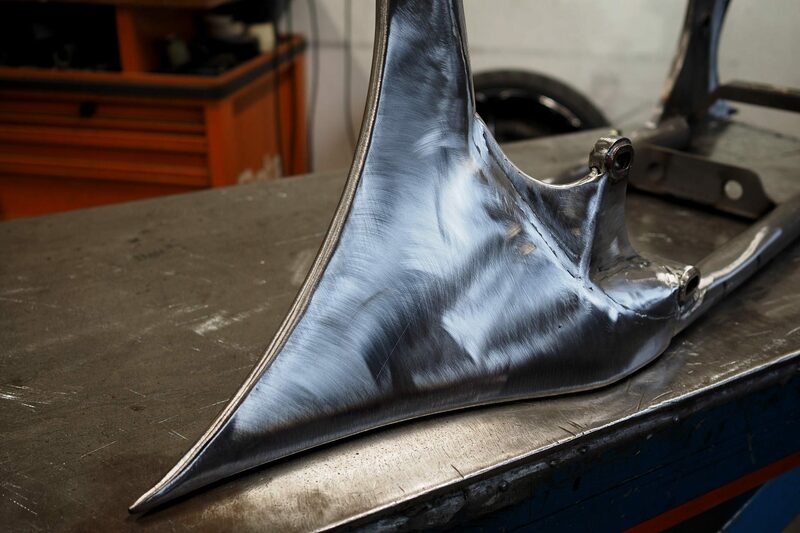 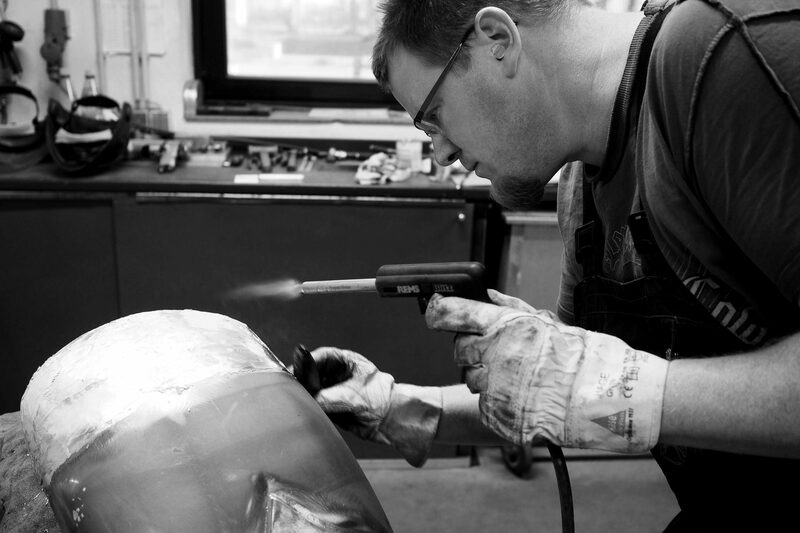 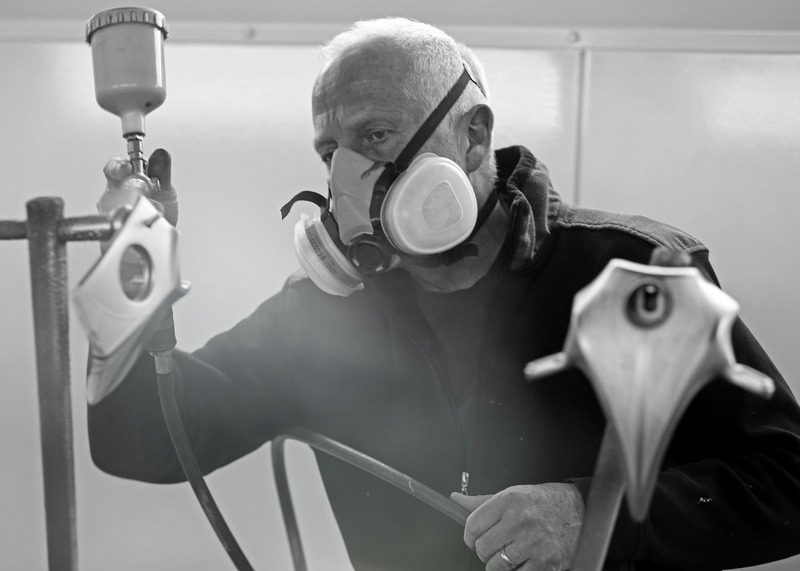 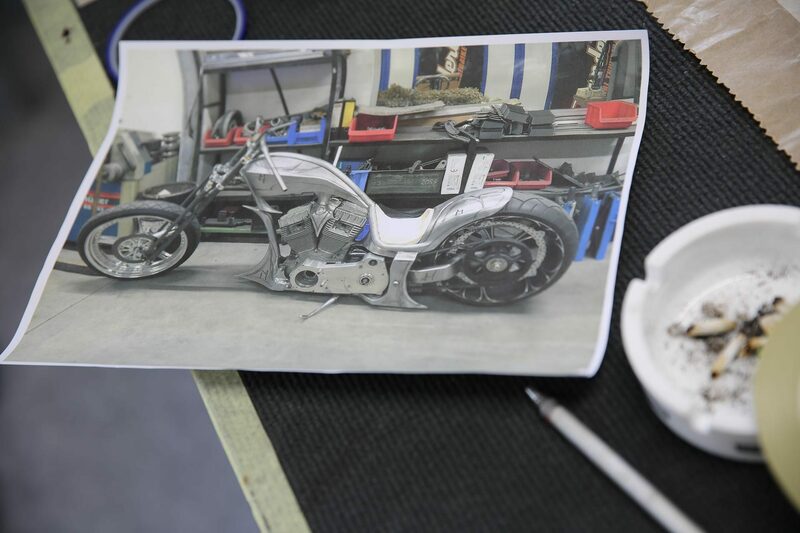 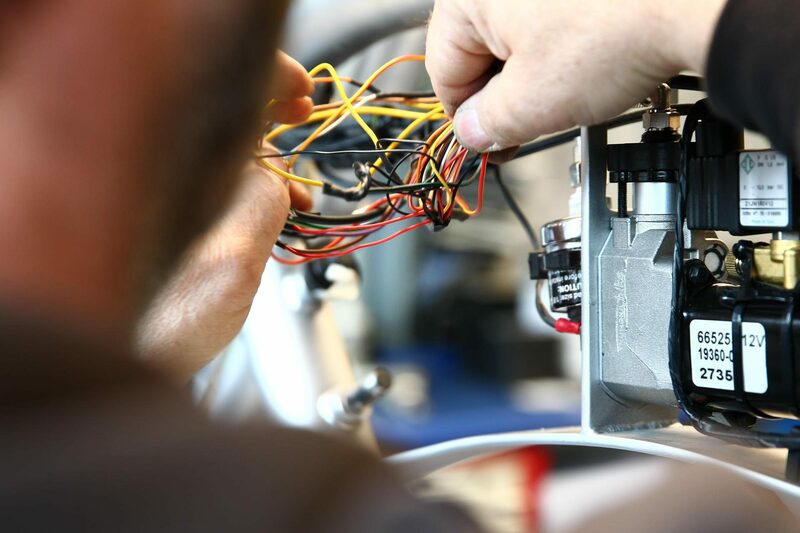 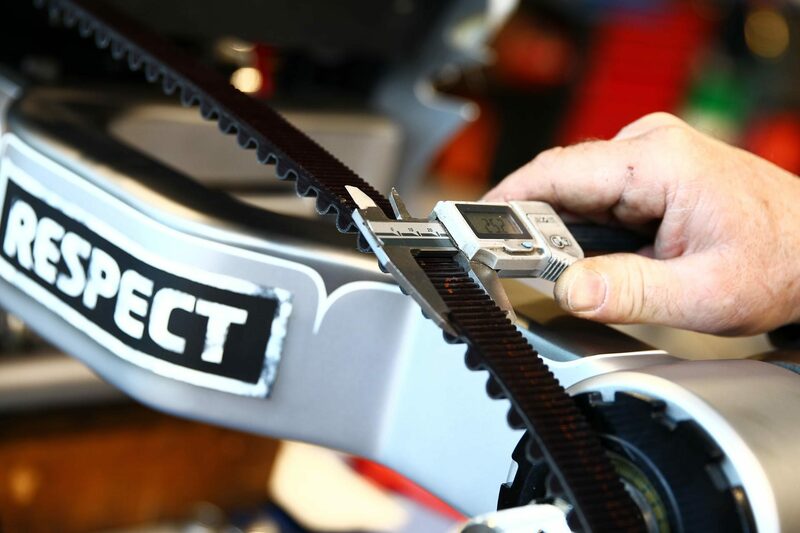 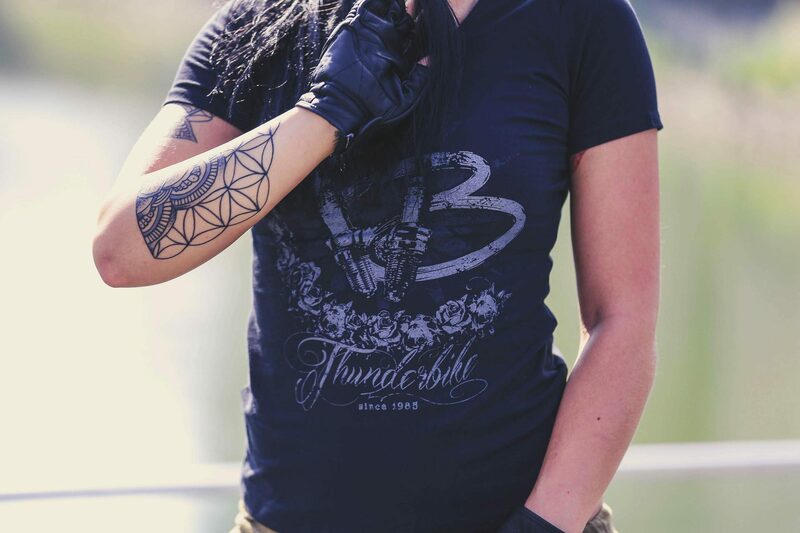 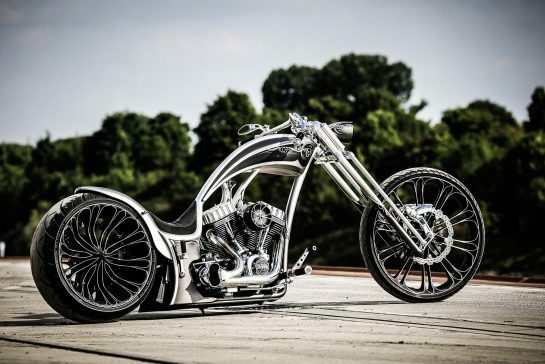 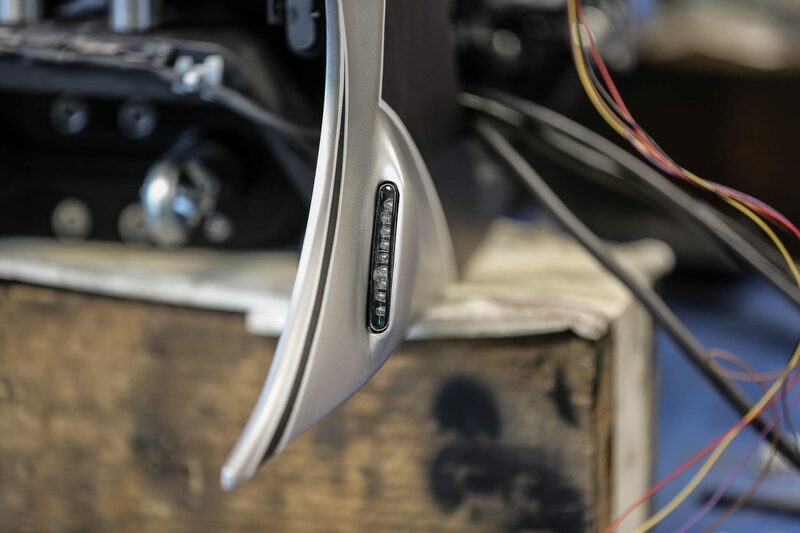 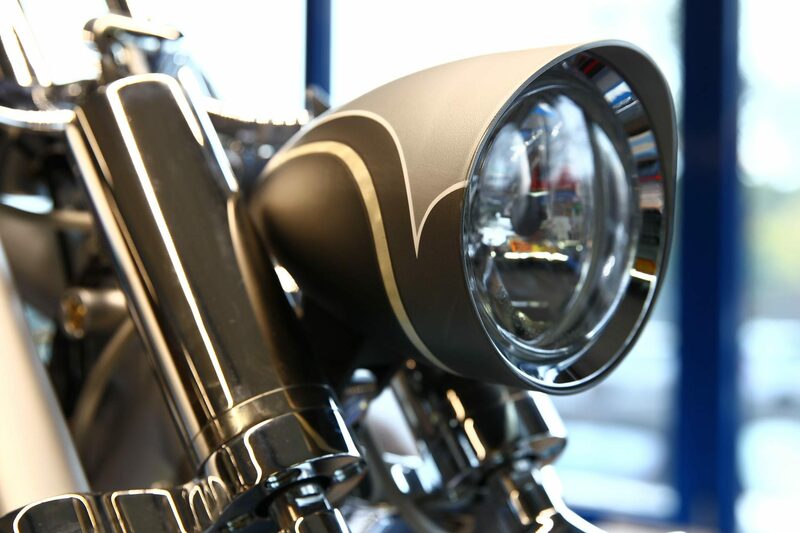 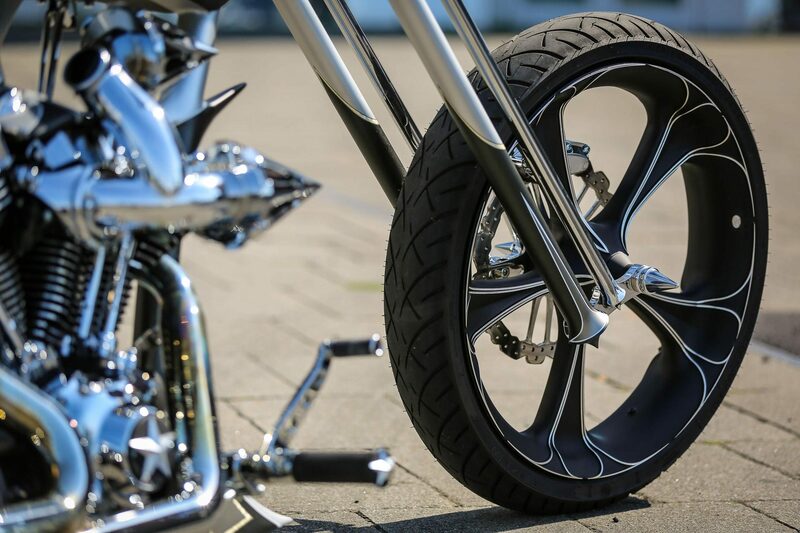 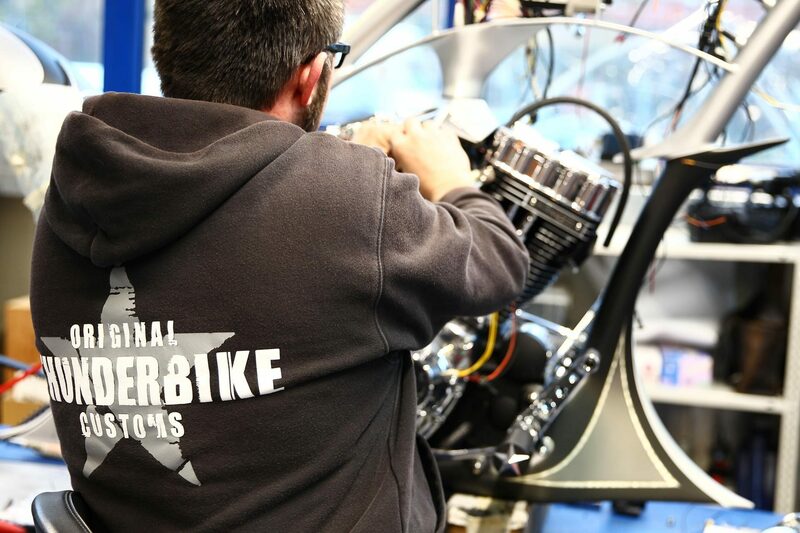 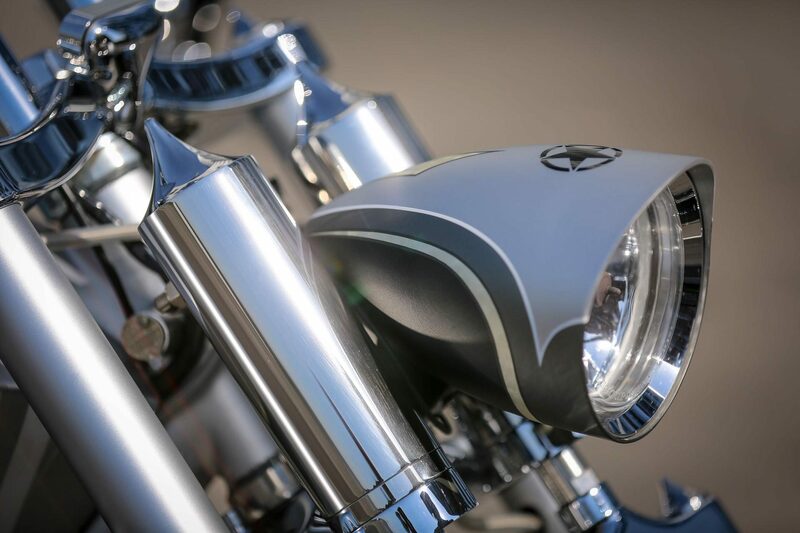 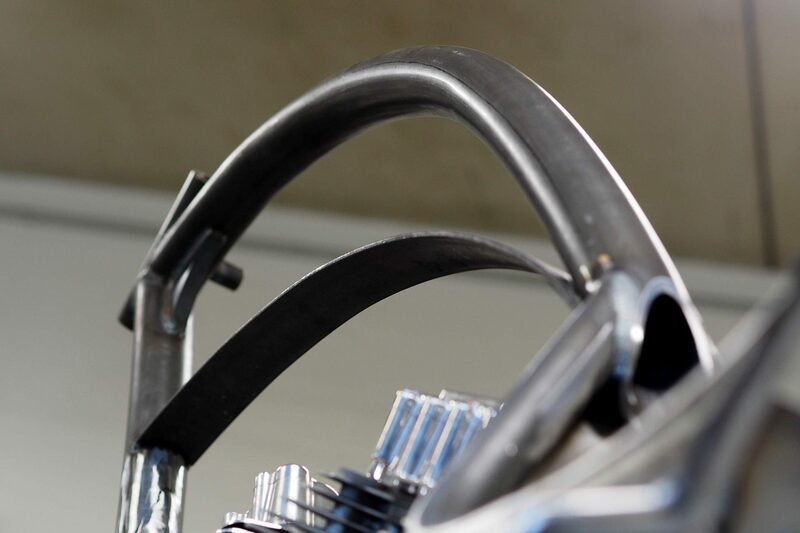 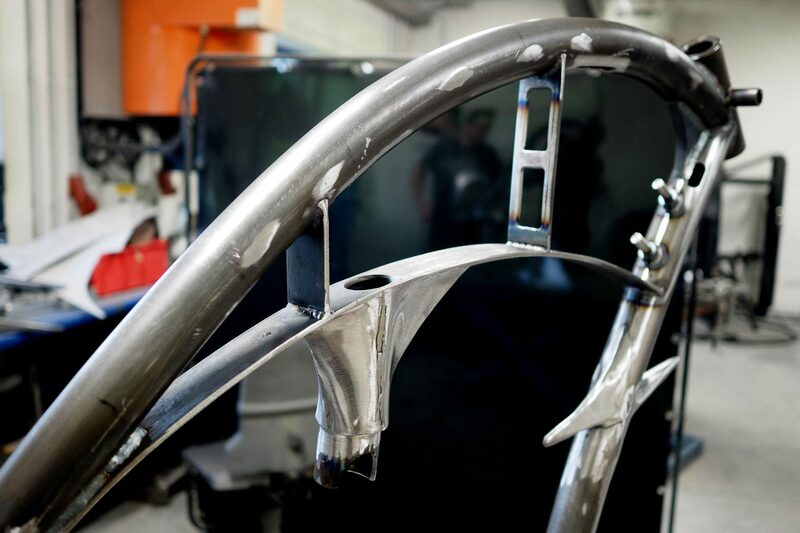 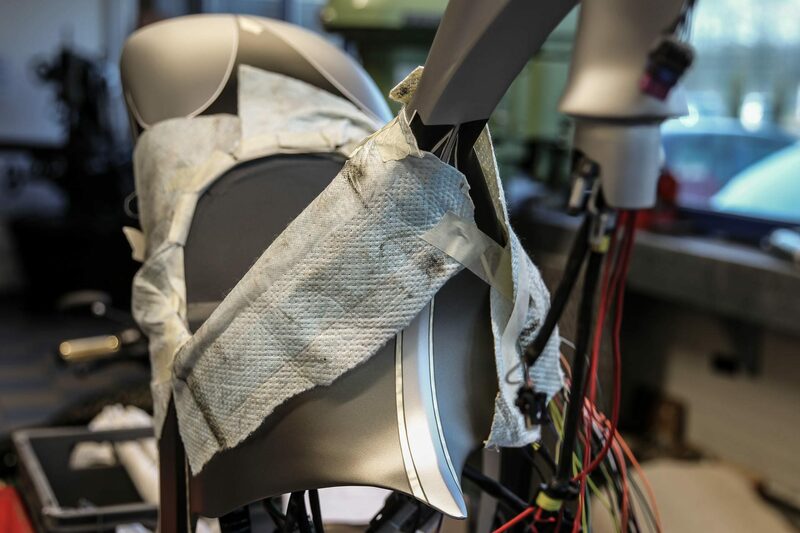 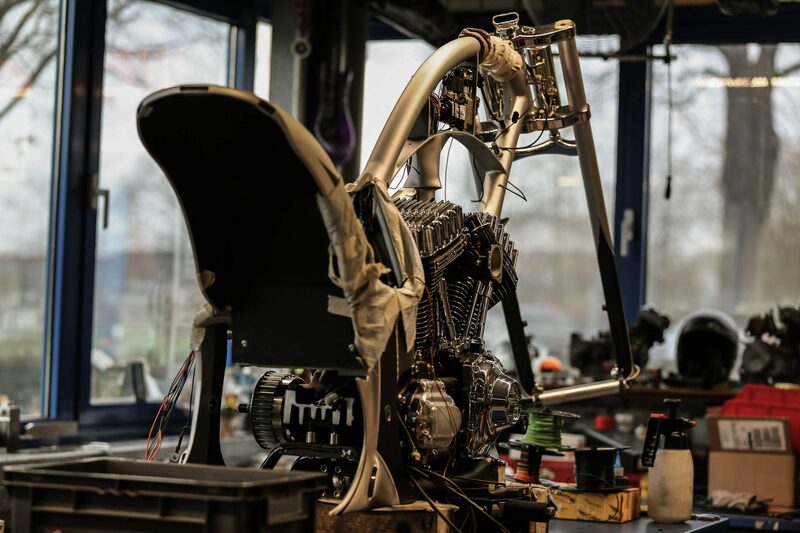 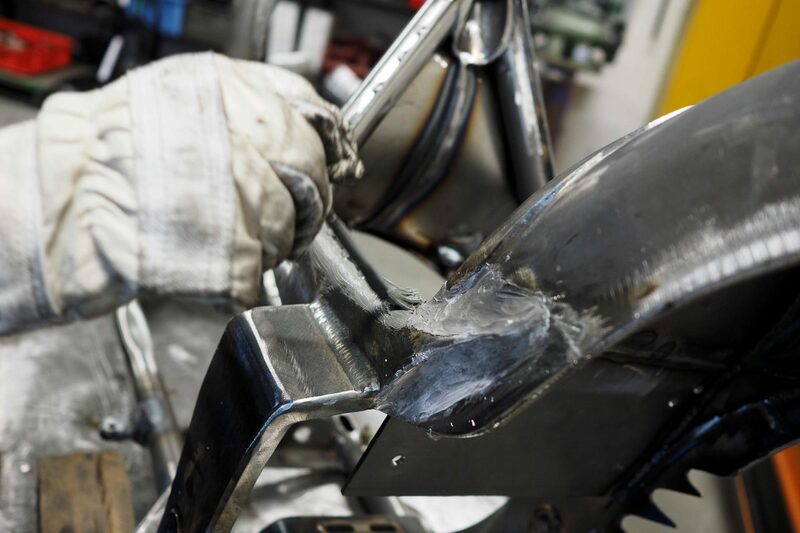 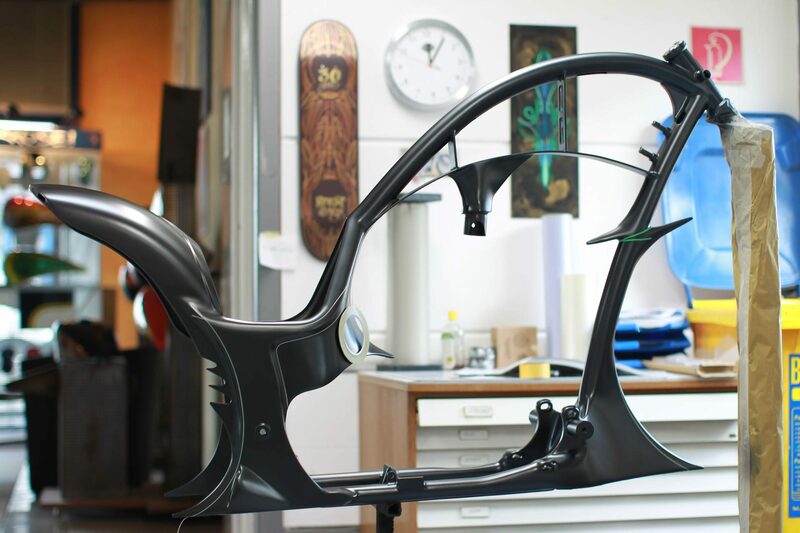 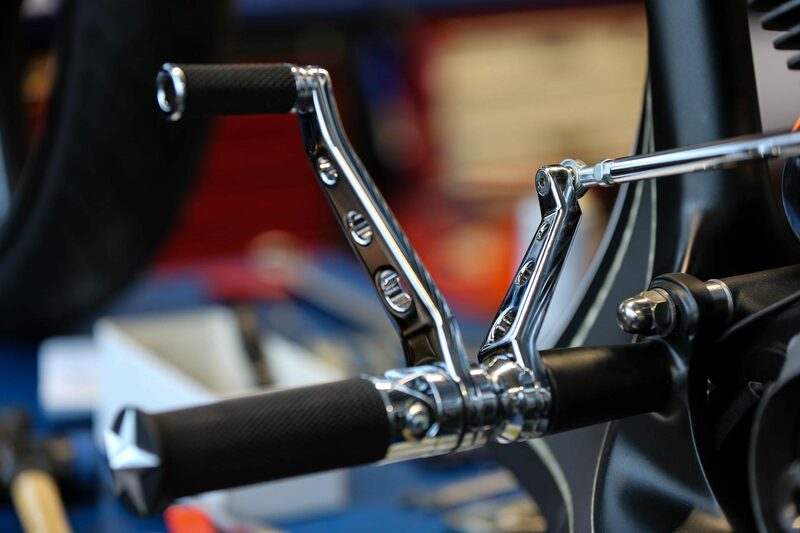 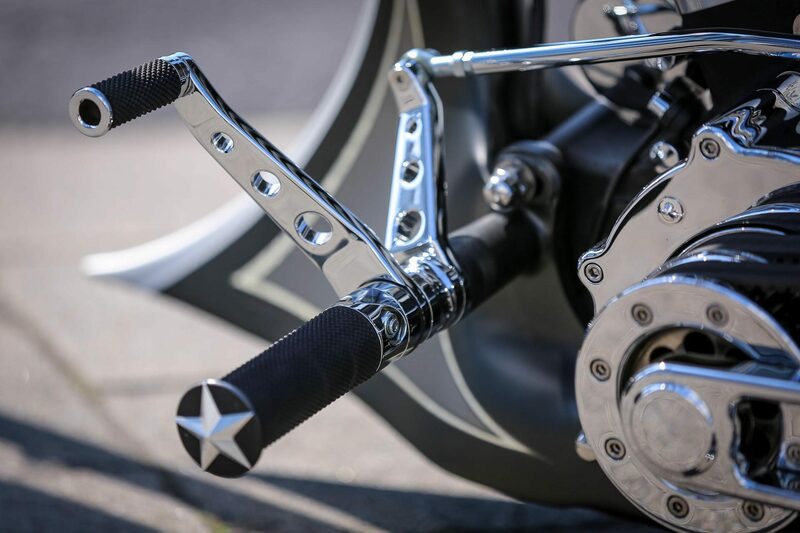 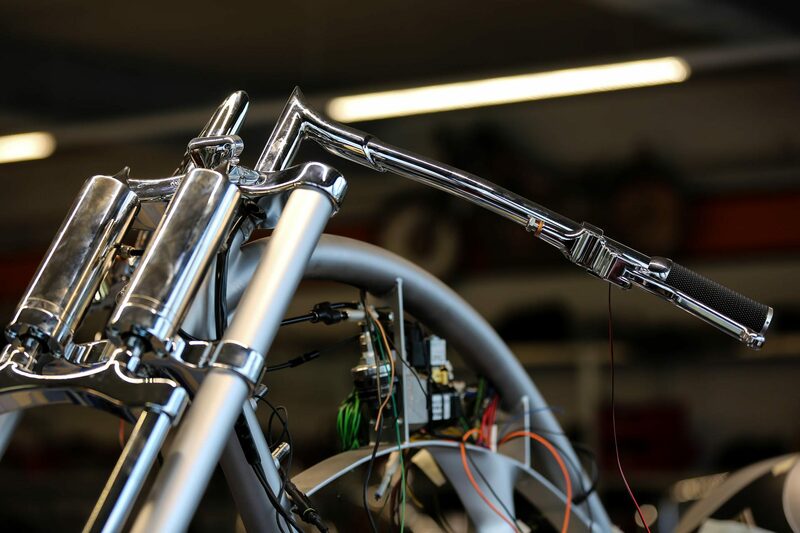 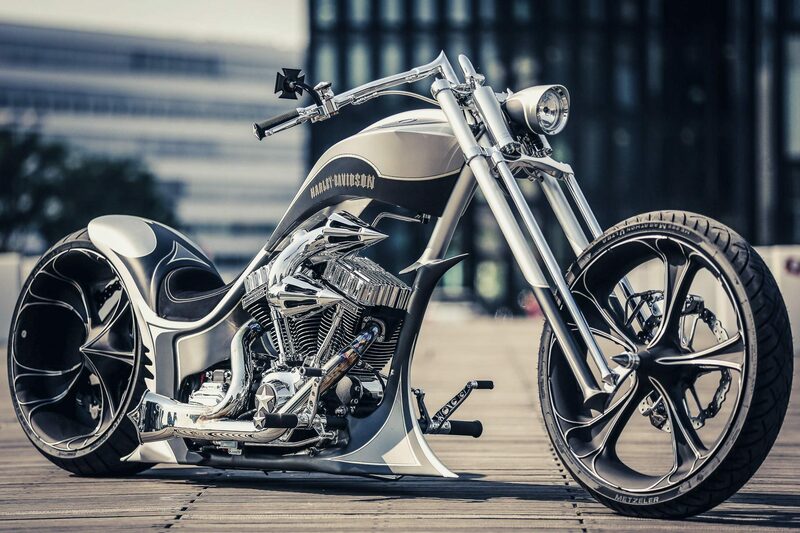 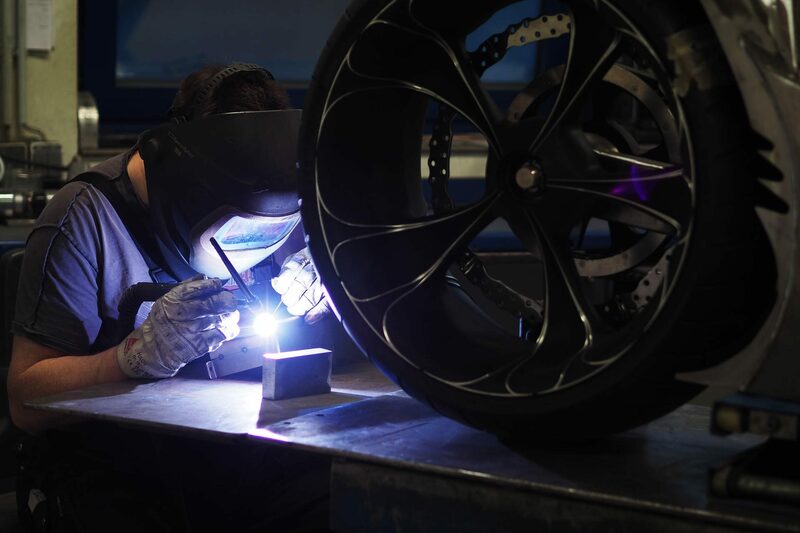 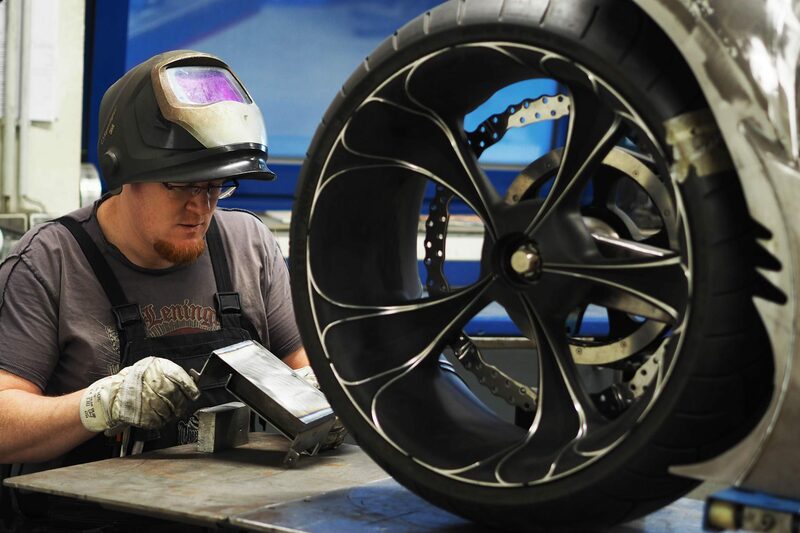 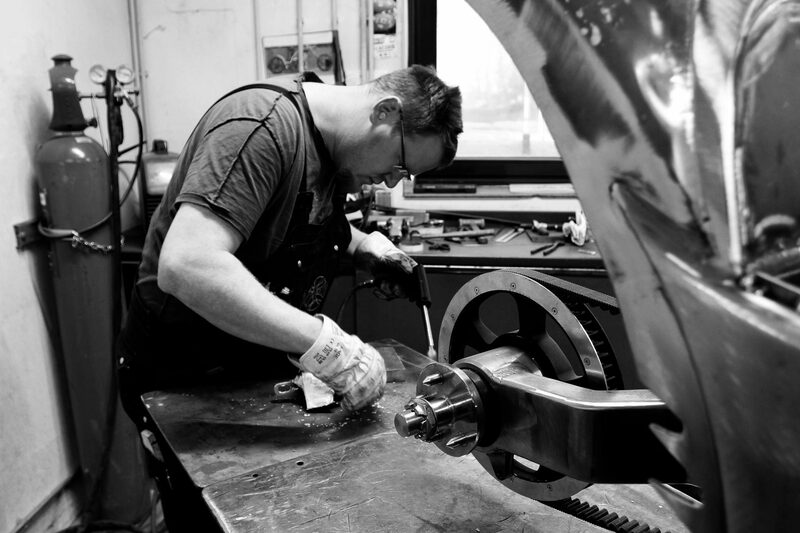 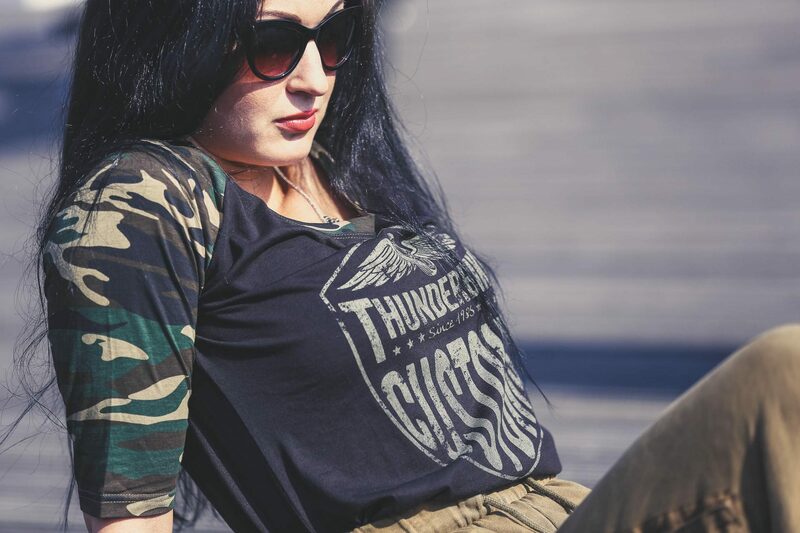 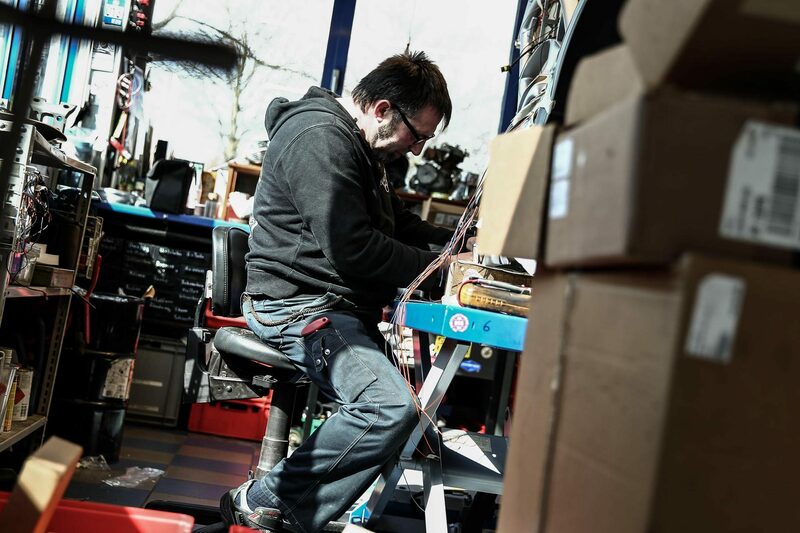 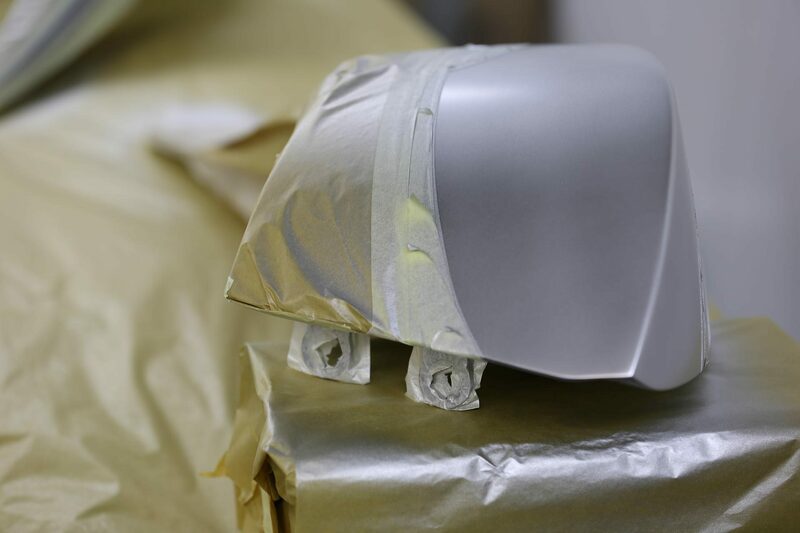 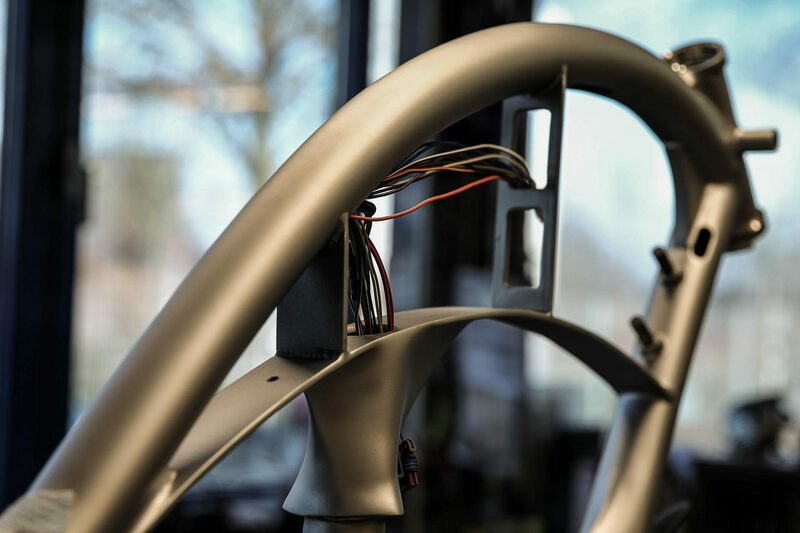 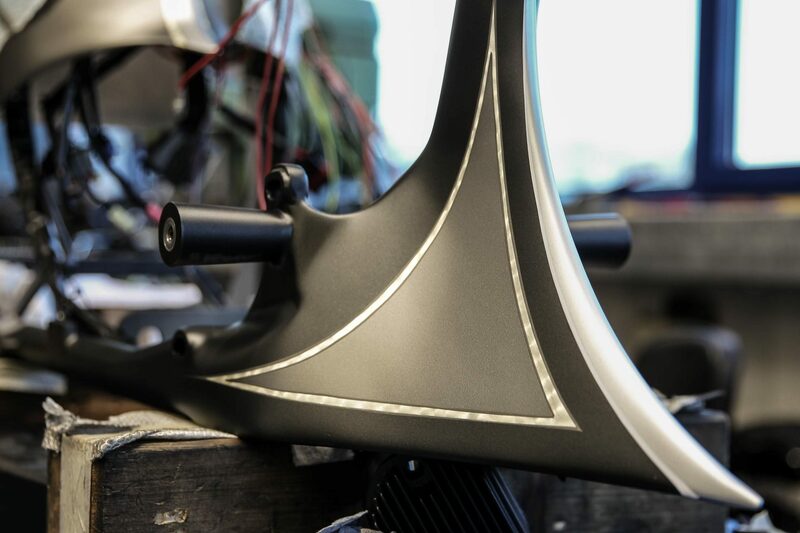 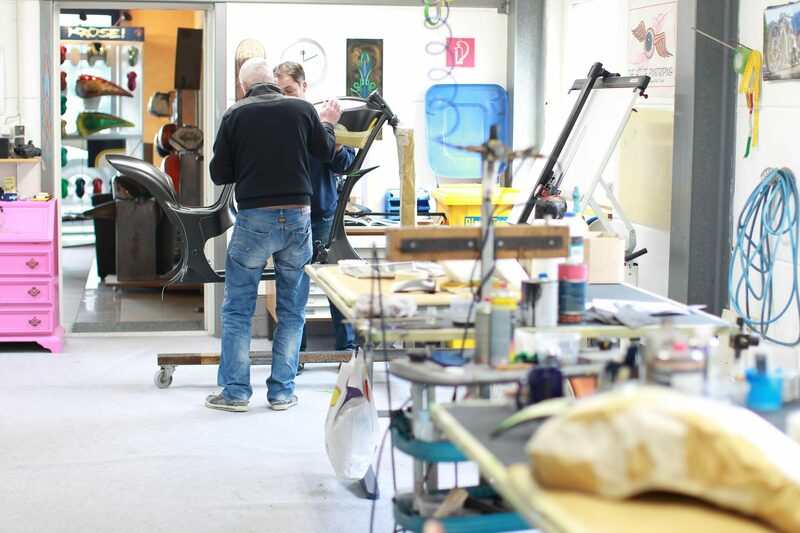 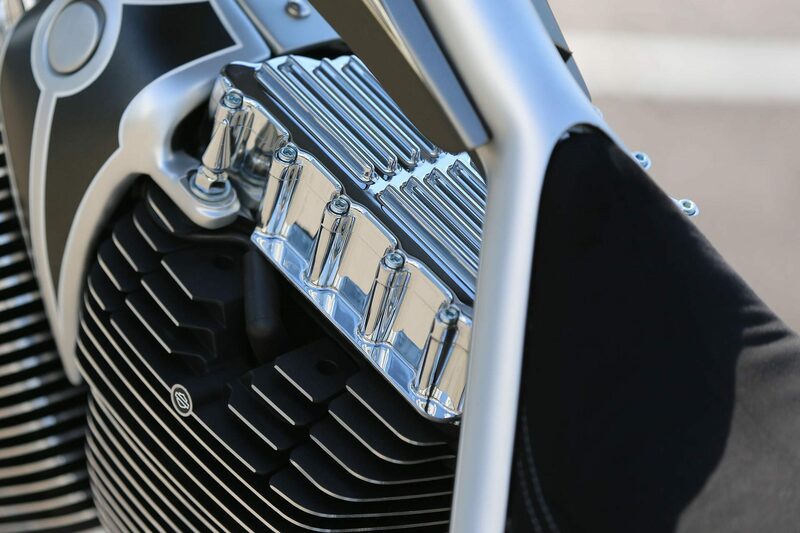 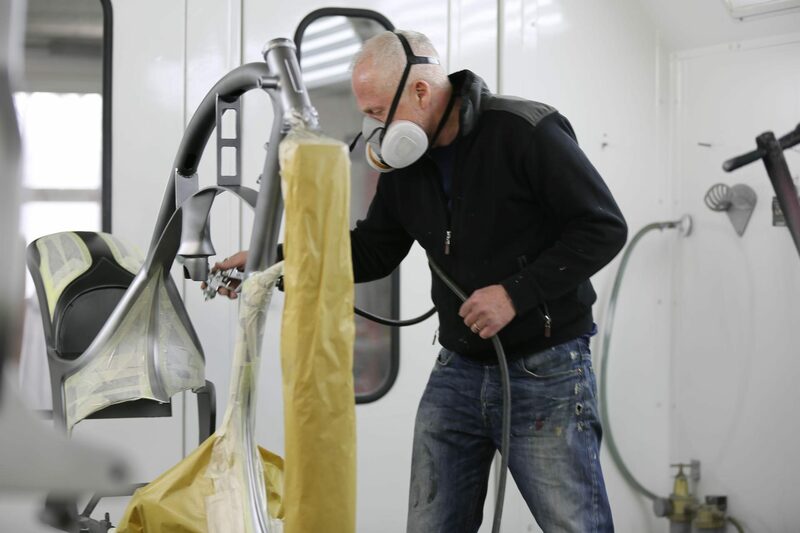 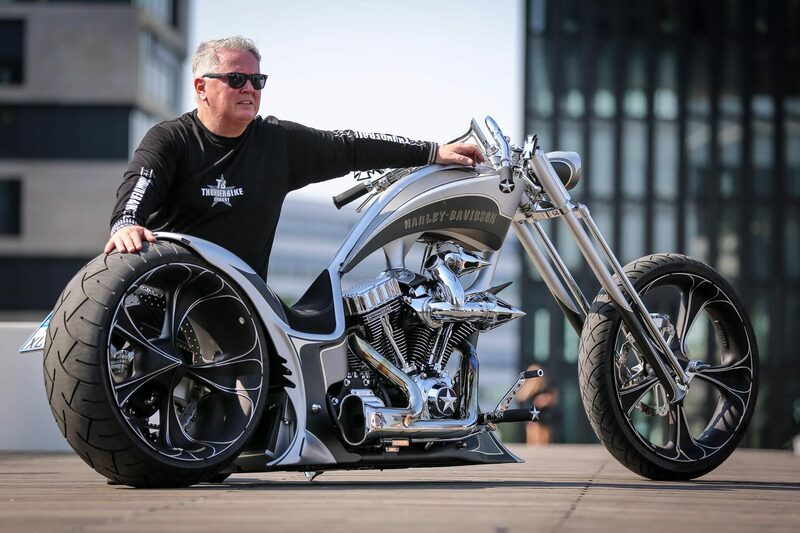 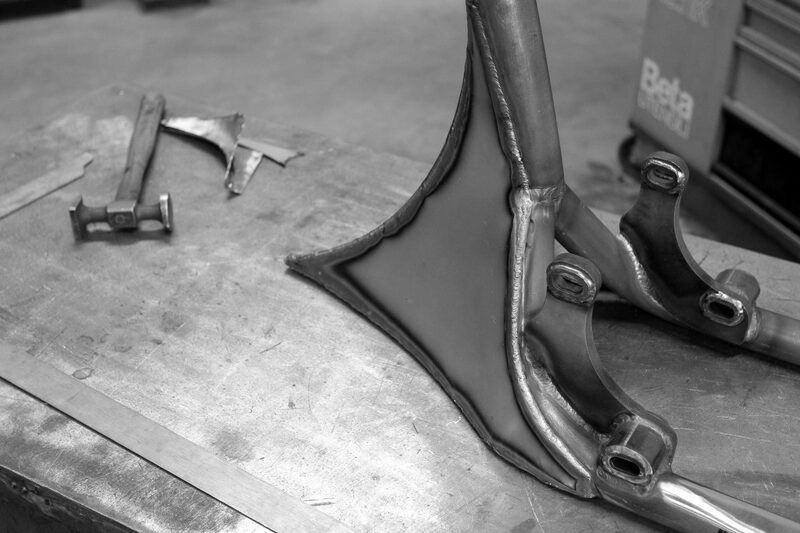 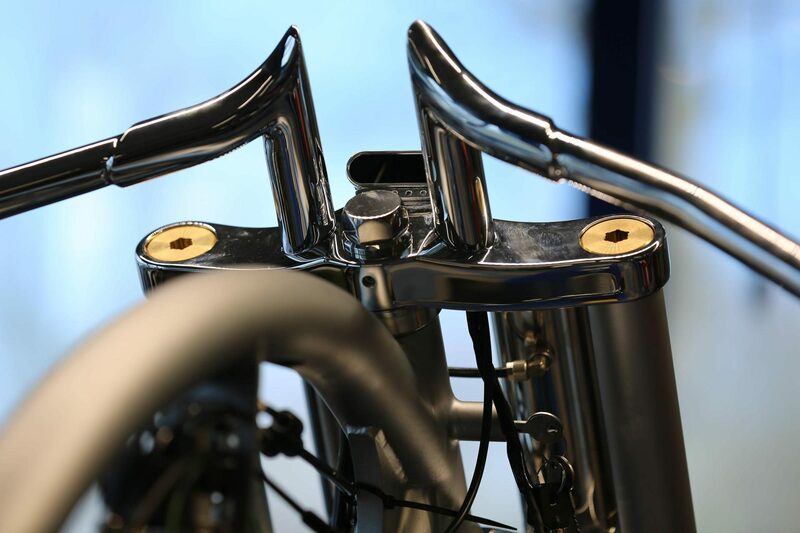 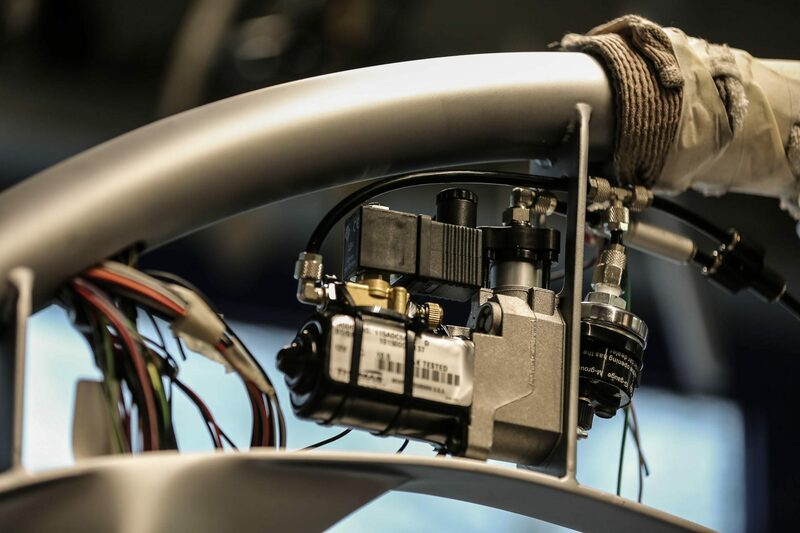 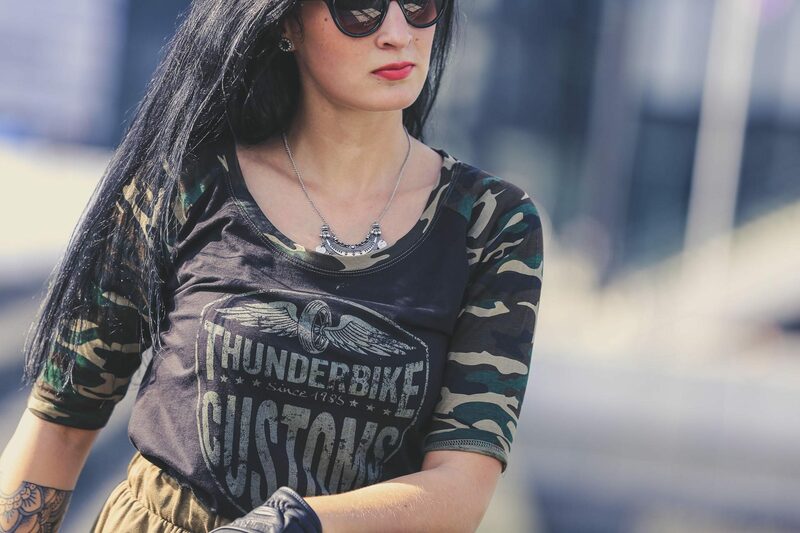 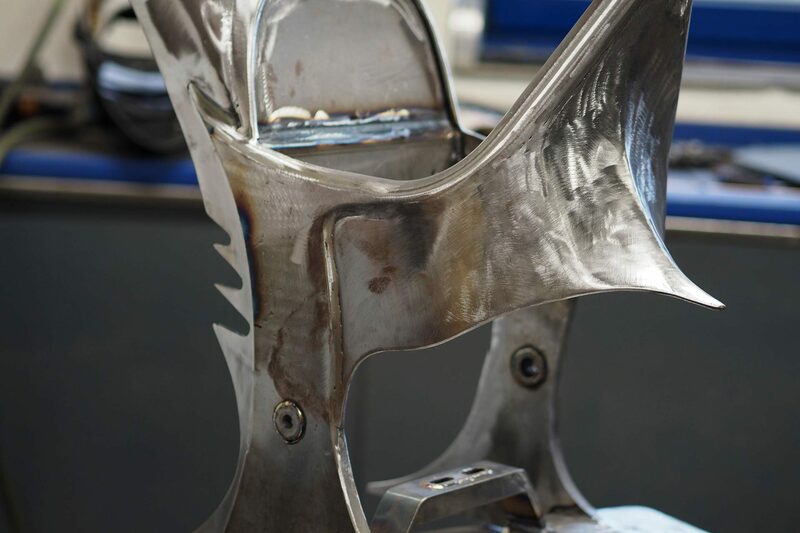 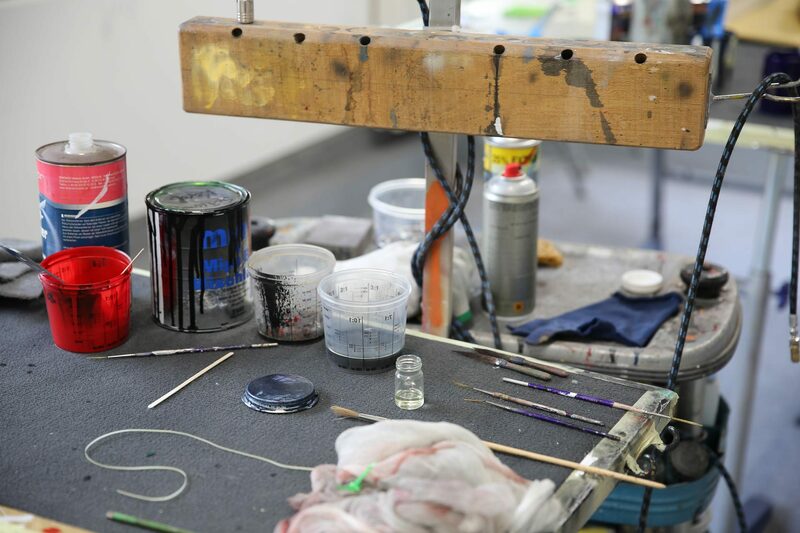 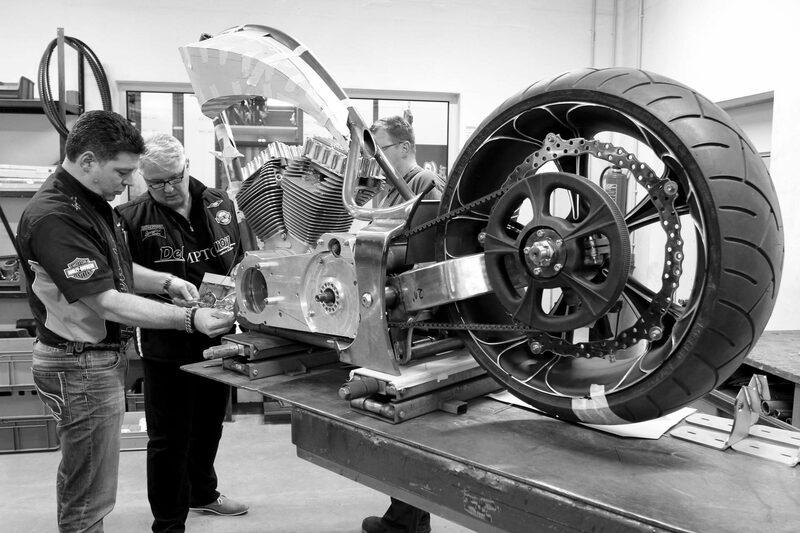 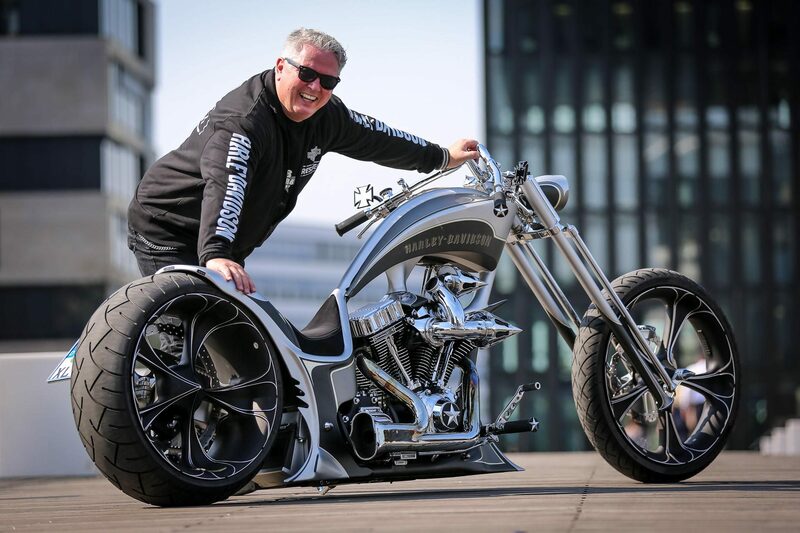 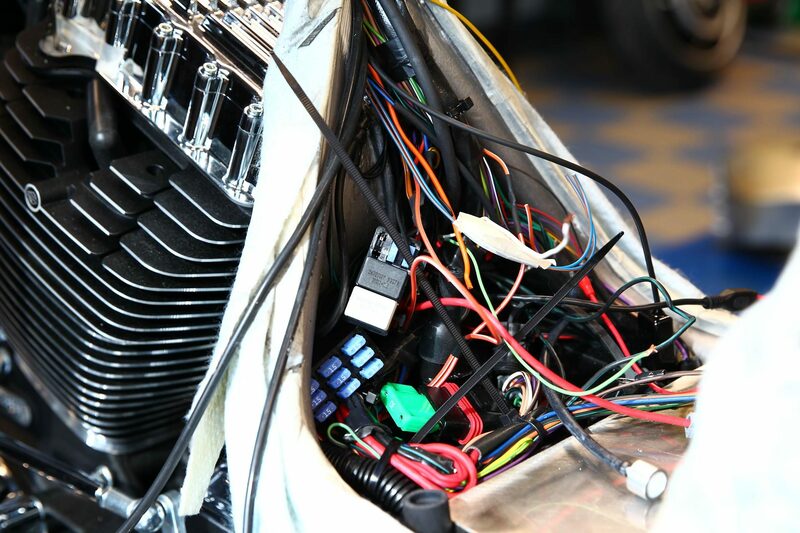 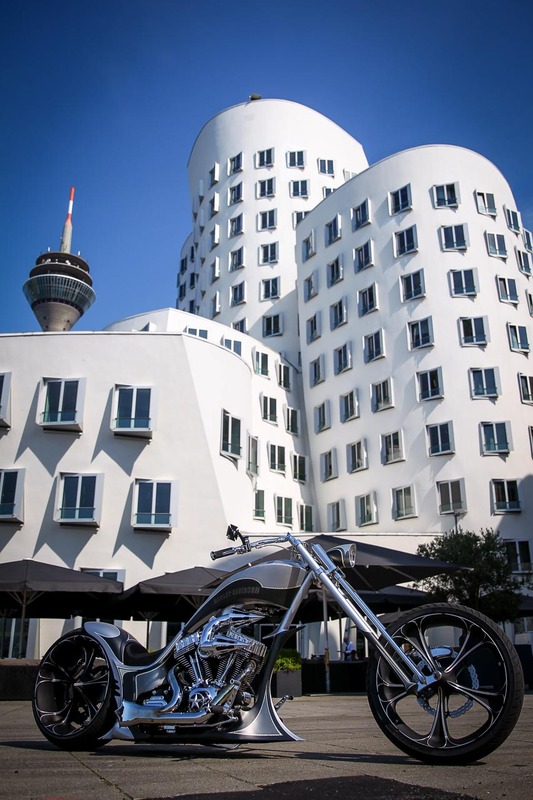 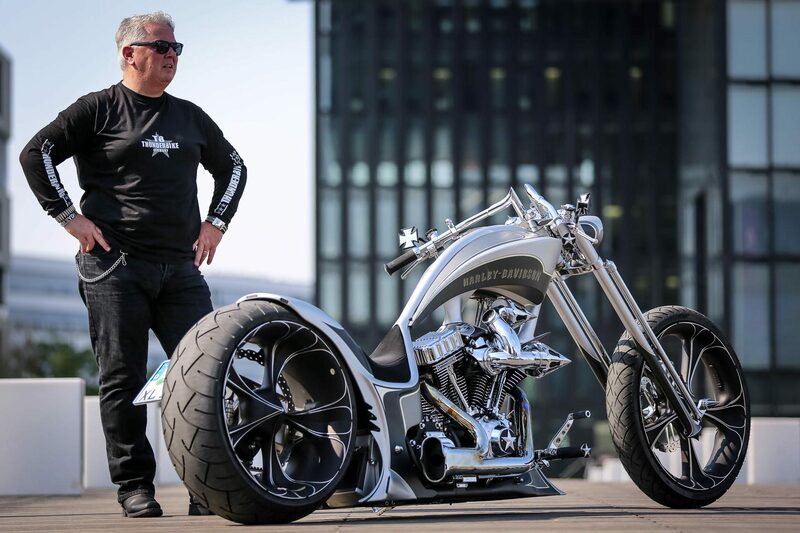 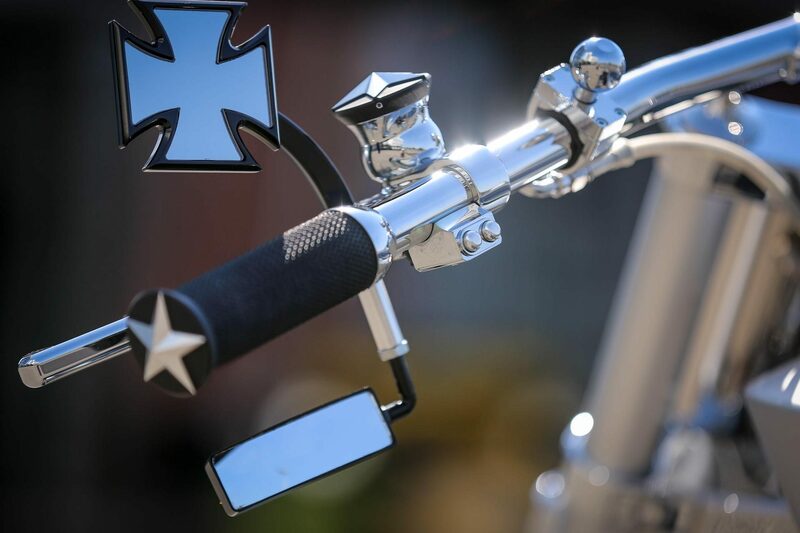 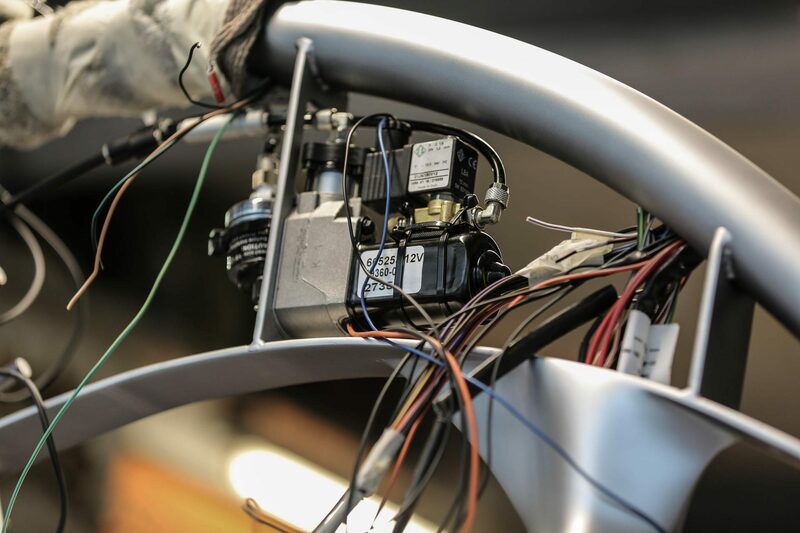 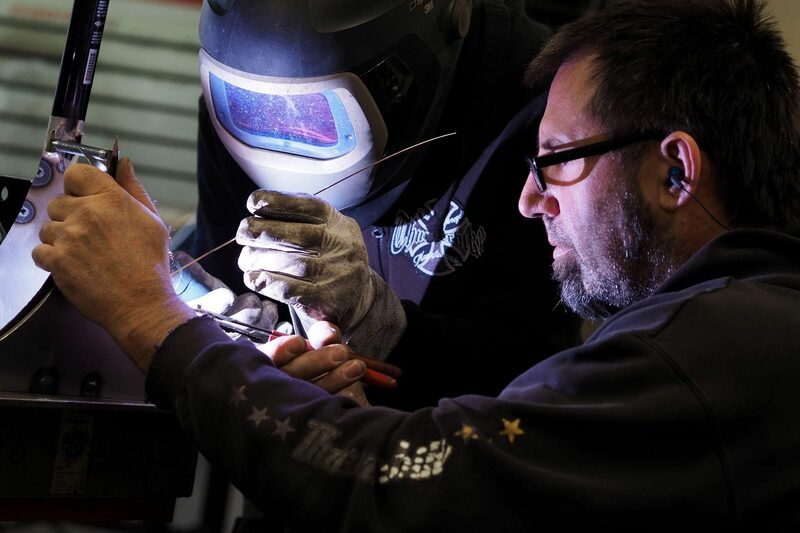 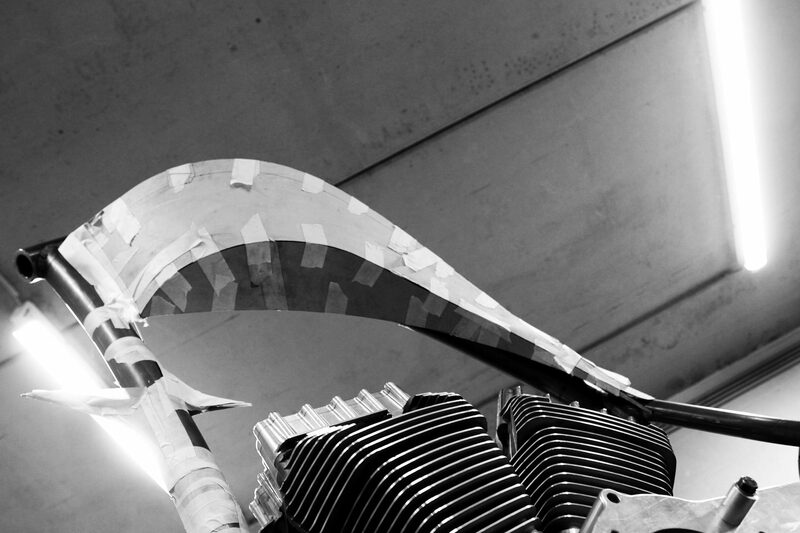 The biker from Neuss can not resist this project, and always likes to take the 100-kilometer road to Thunderbike back to see the latest steps in his bike. 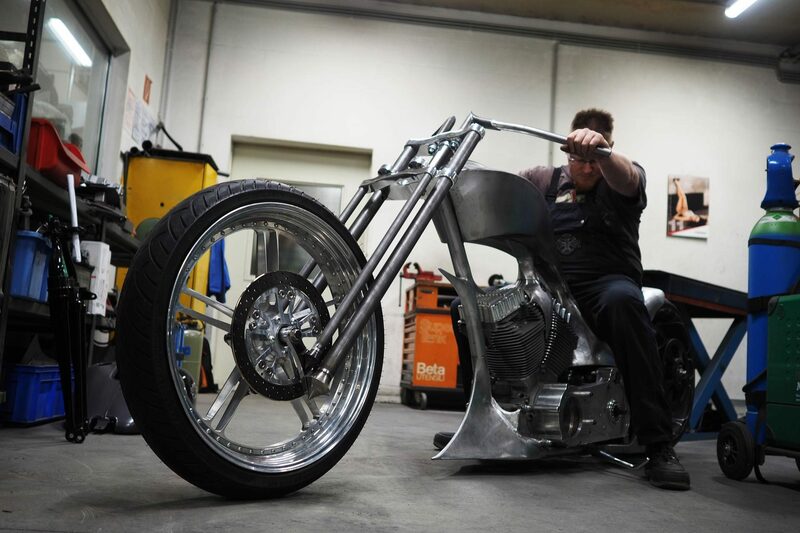 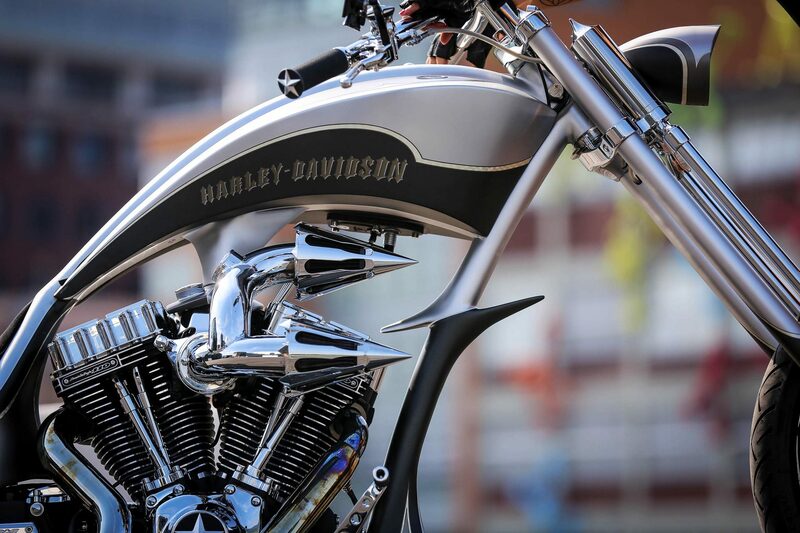 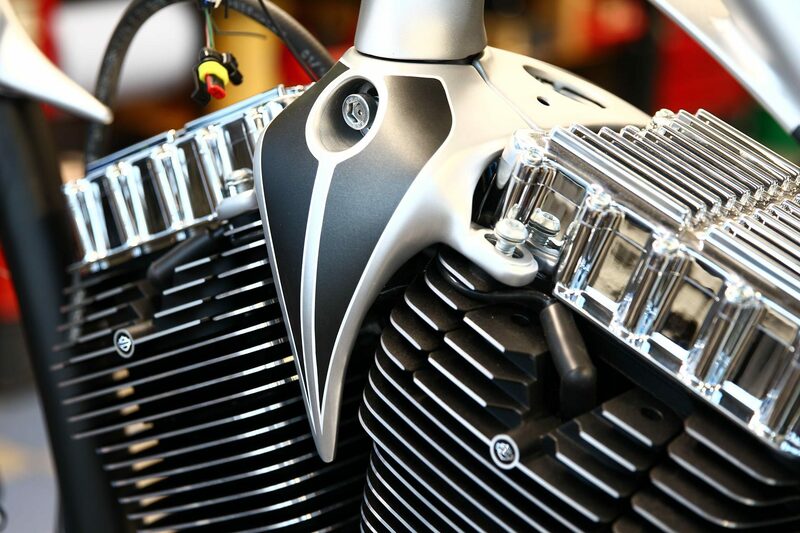 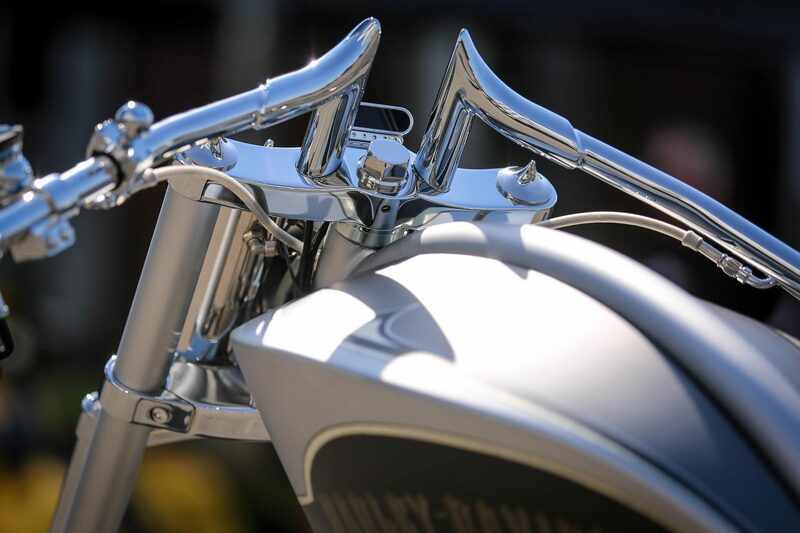 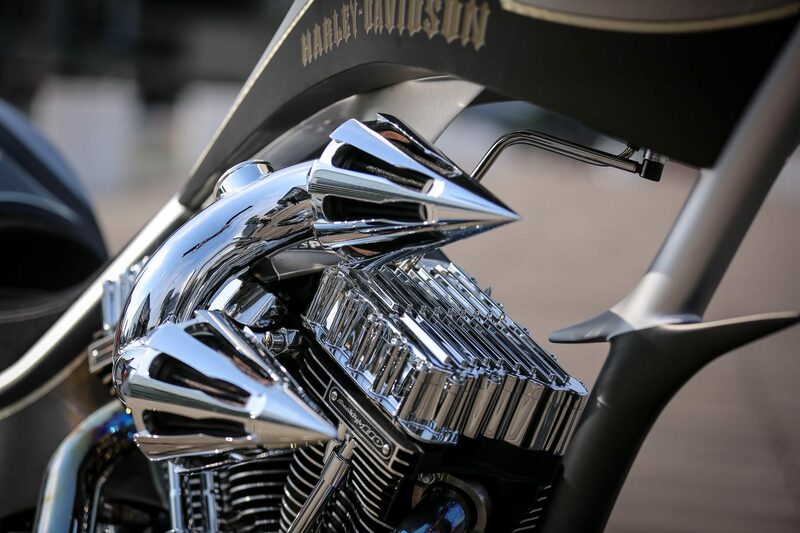 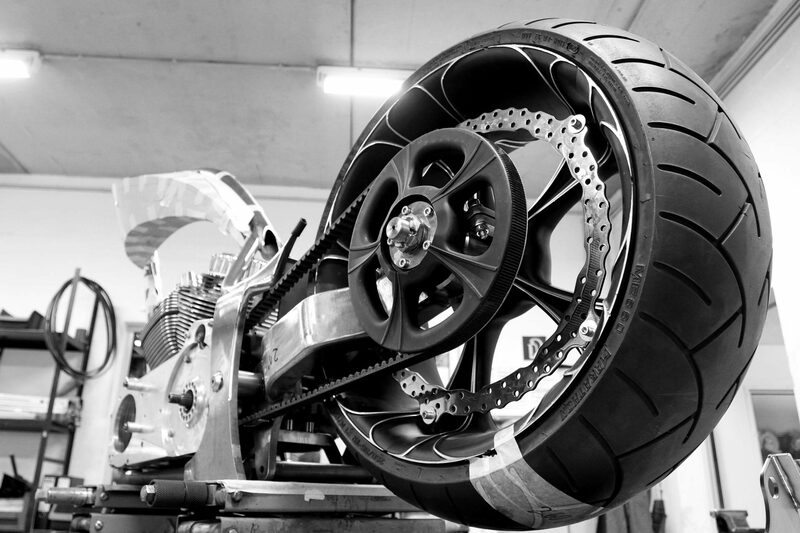 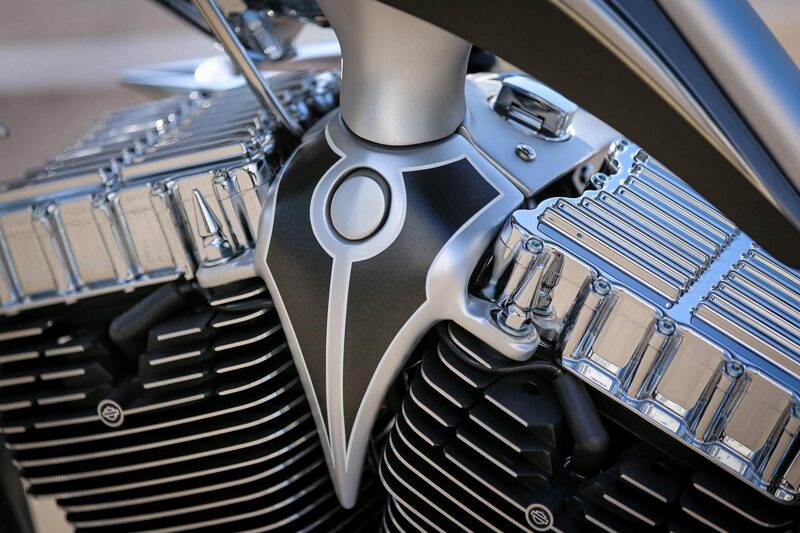 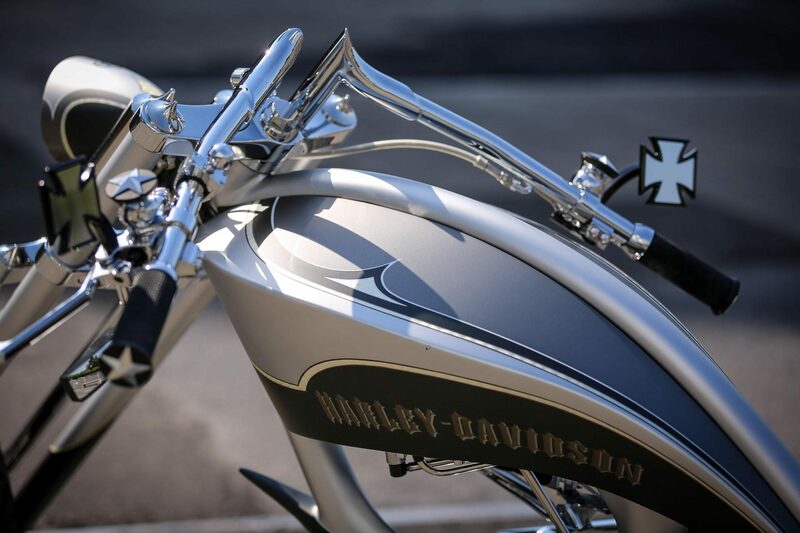 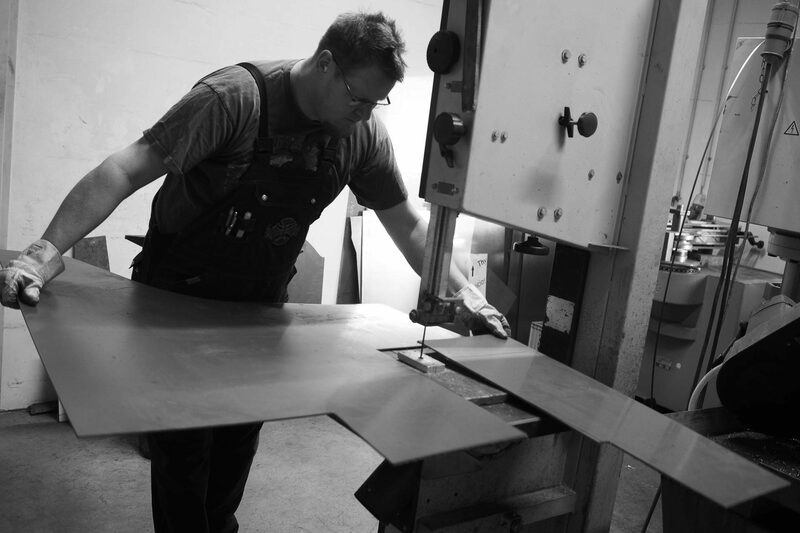 As early as 2004, our custom mechanic built Rainer Frank’s first Harley, a custom bike based on a Freestyle frame. 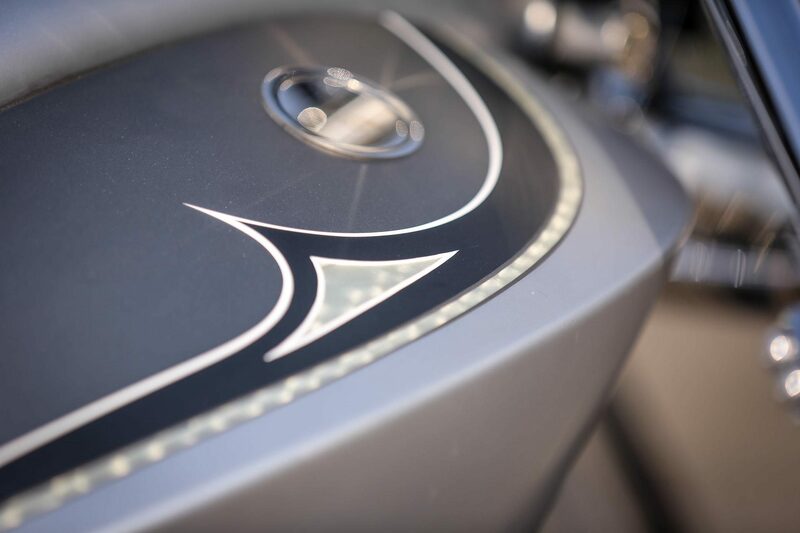 After 11 years of driving pleasure now has a new vehicle has to come. 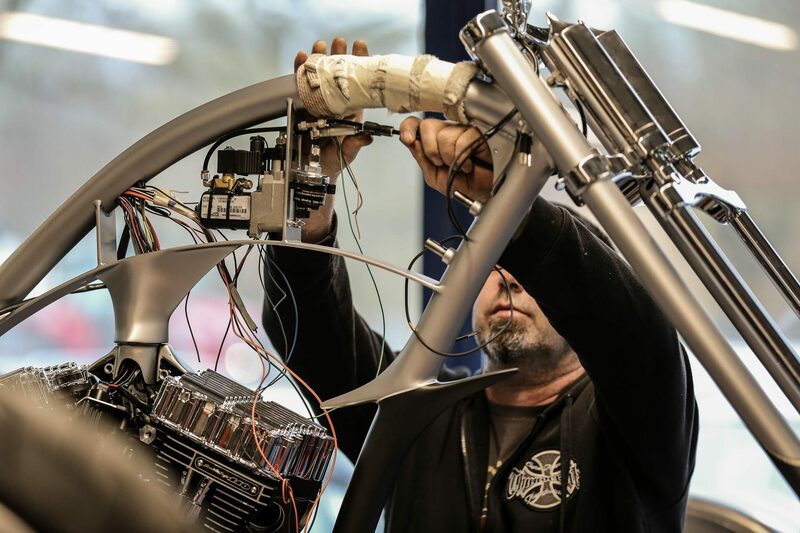 “Hard – Strong – Cool – Insane – that’s what my new bike should look like,” says Frank in an interview with his customer advisor Thomas Emky. 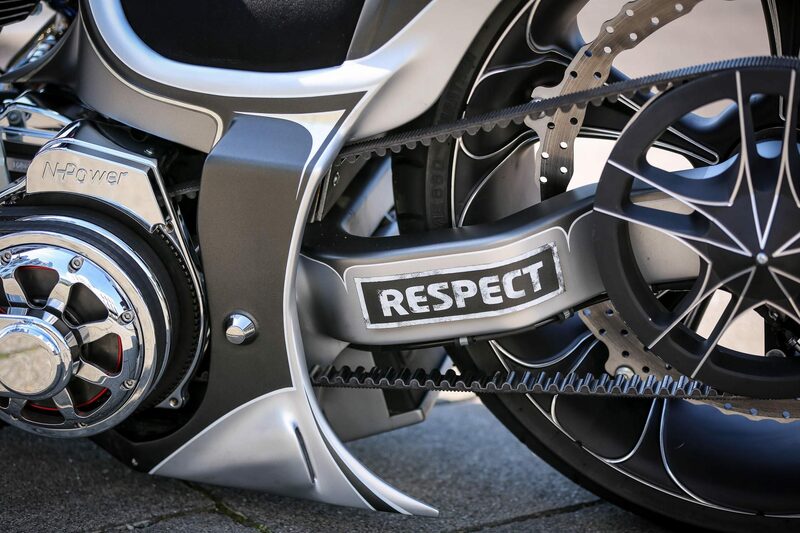 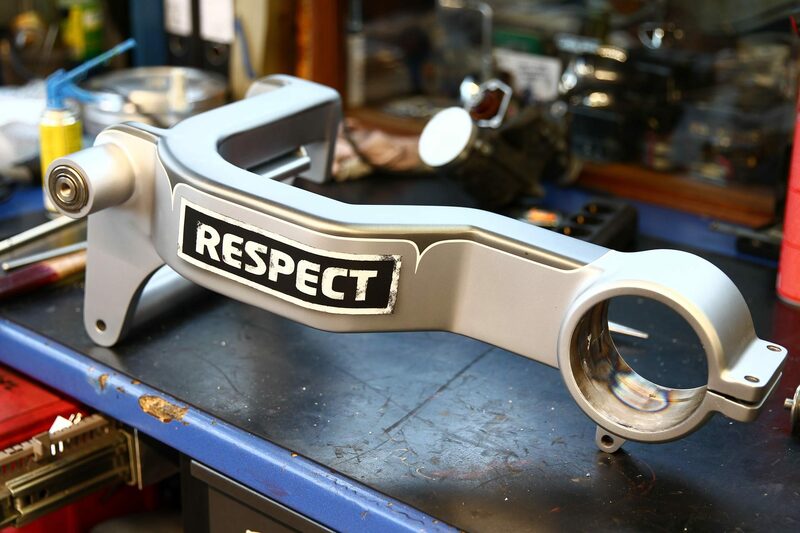 He already has the fitting name for the new custom bike – “No Respect”. 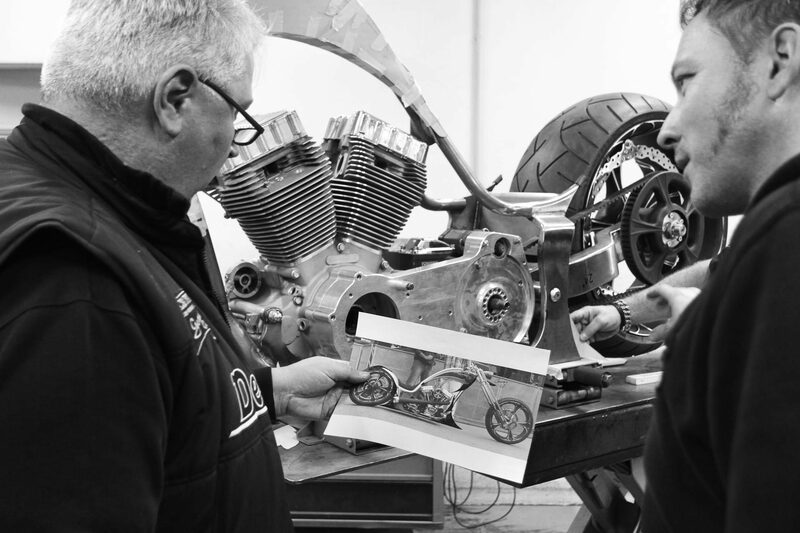 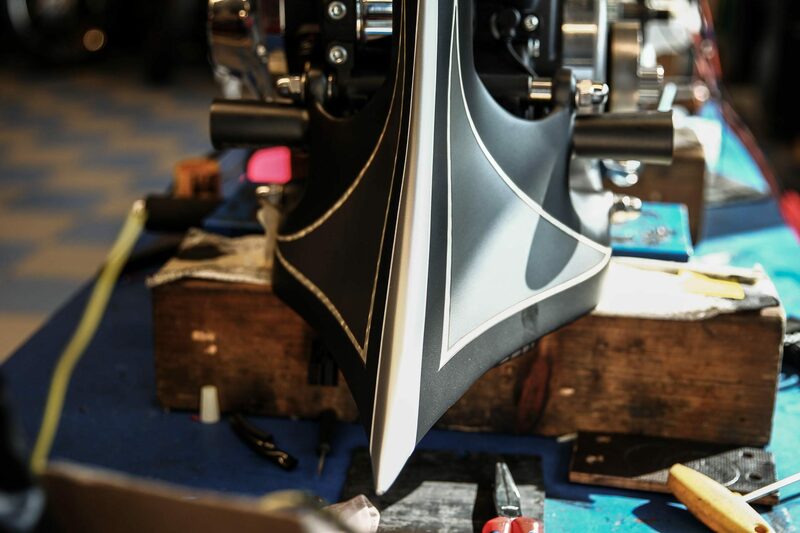 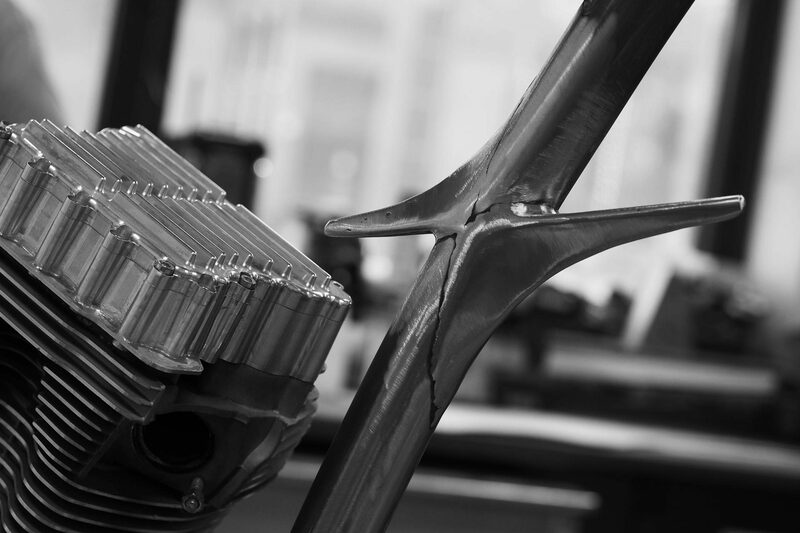 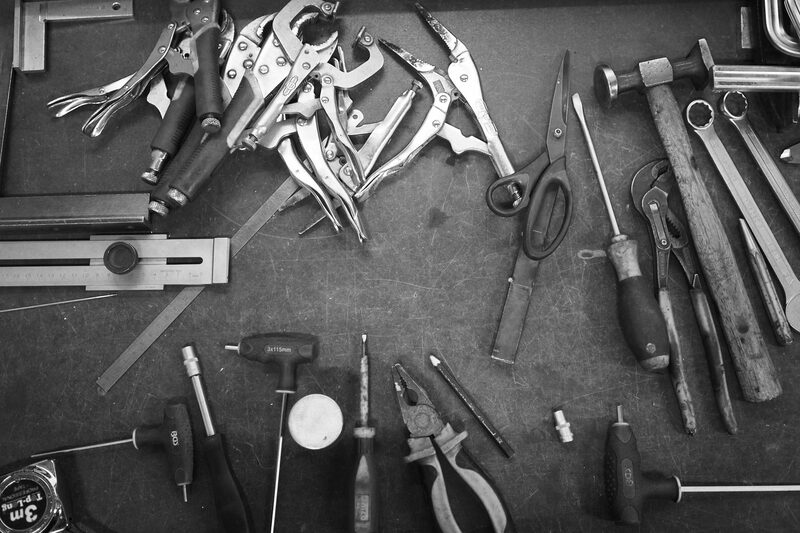 Ben Ott once again looked behind the scenes on this bike and captured the complete making of film!